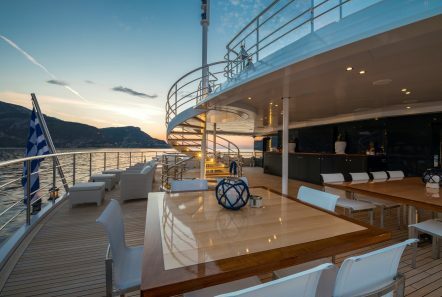 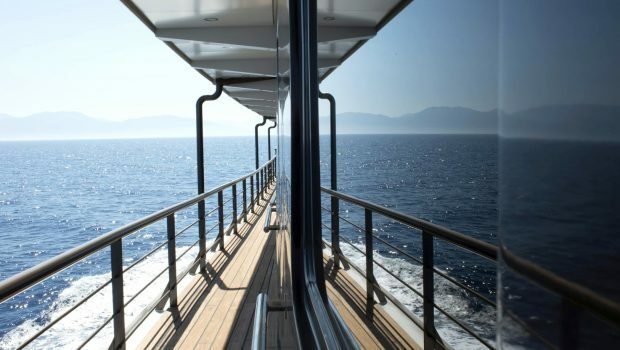 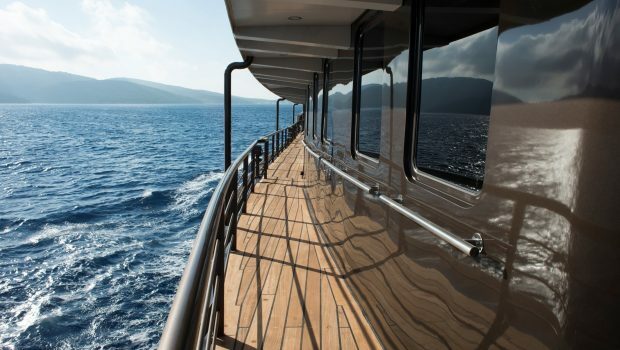 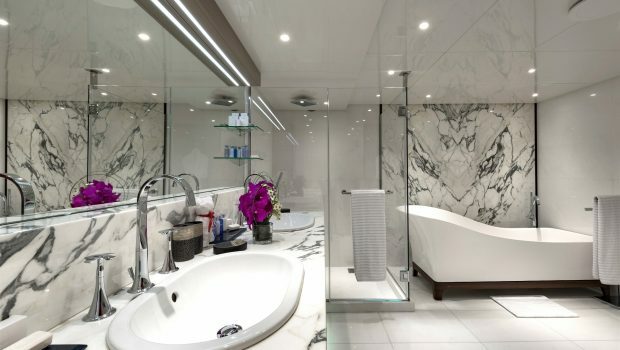 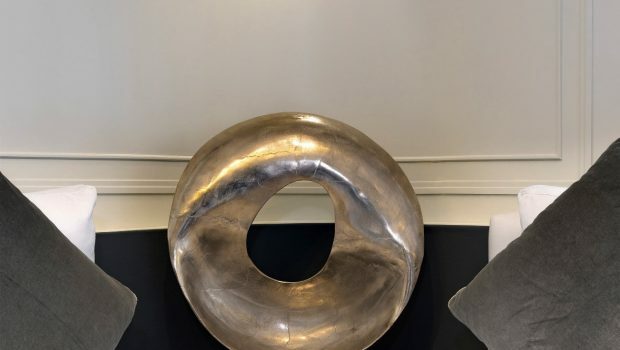 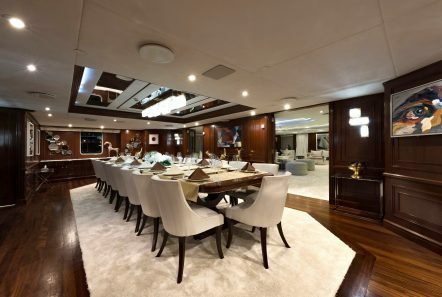 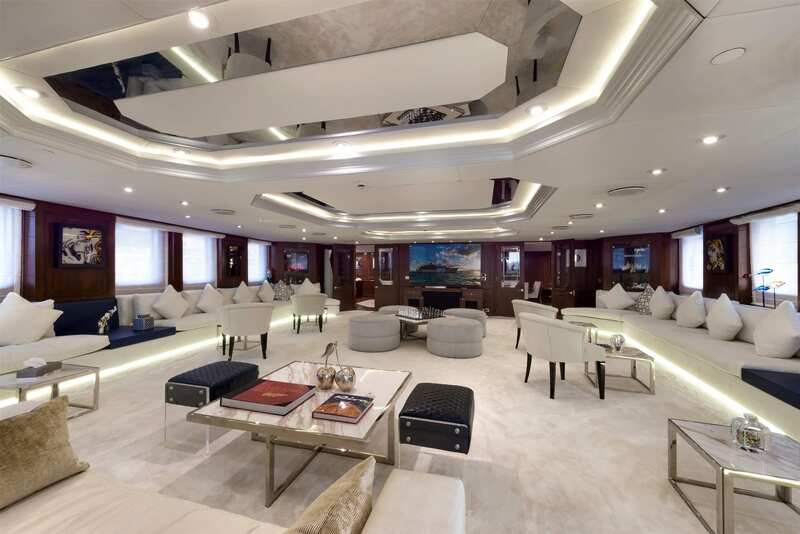 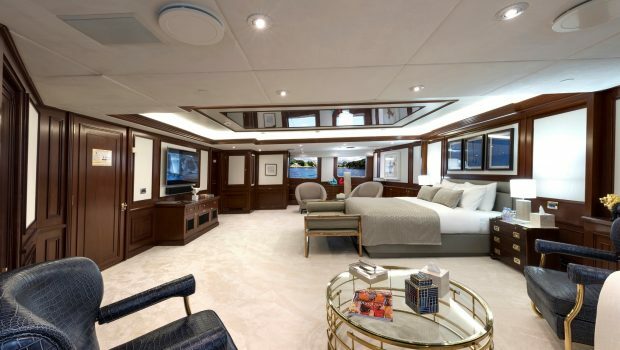 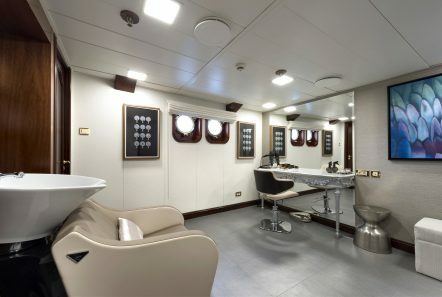 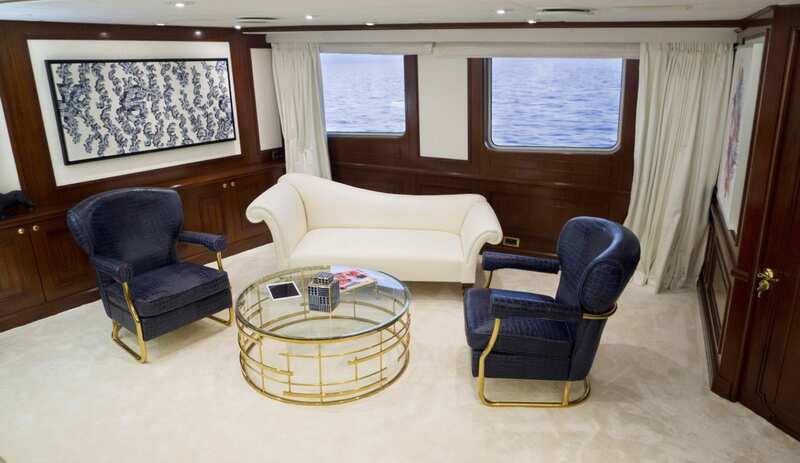 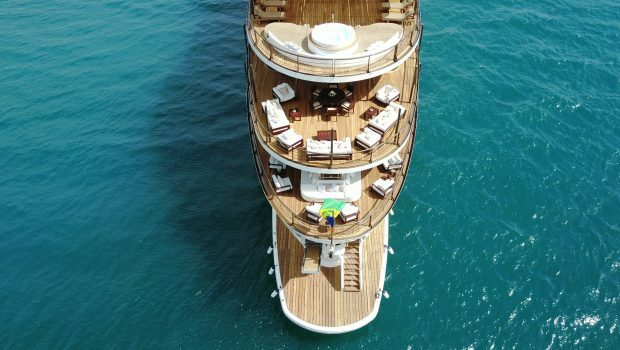 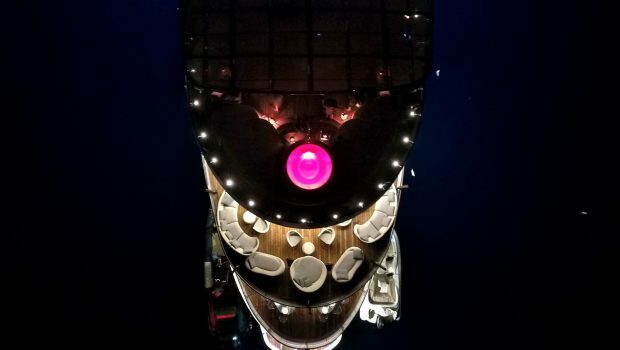 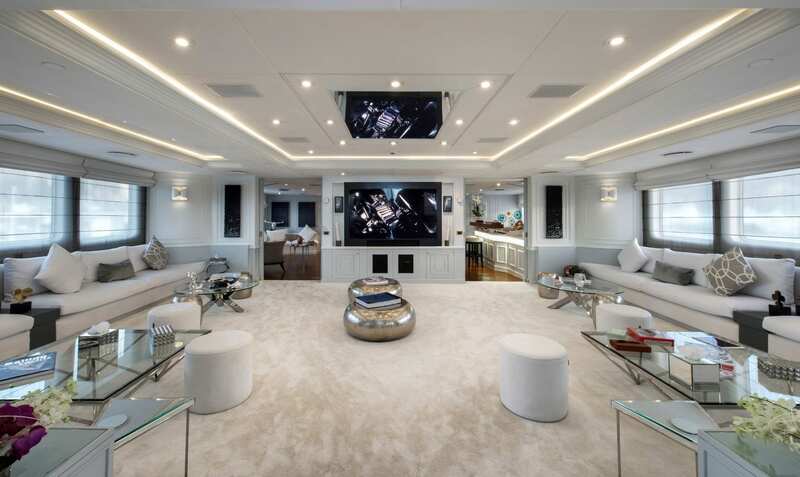 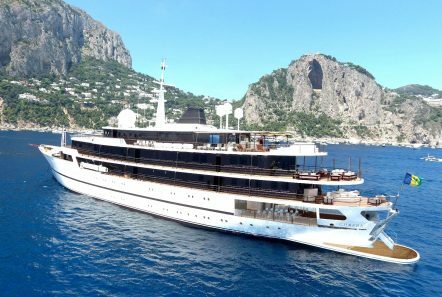 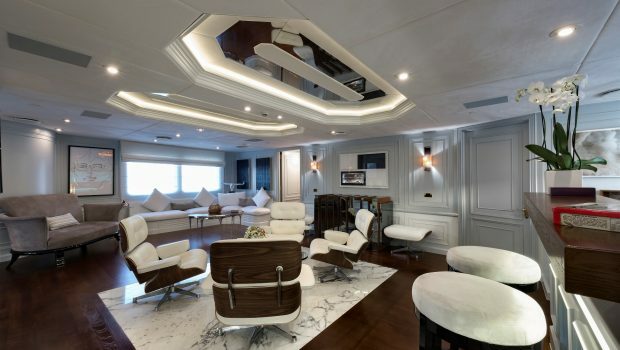 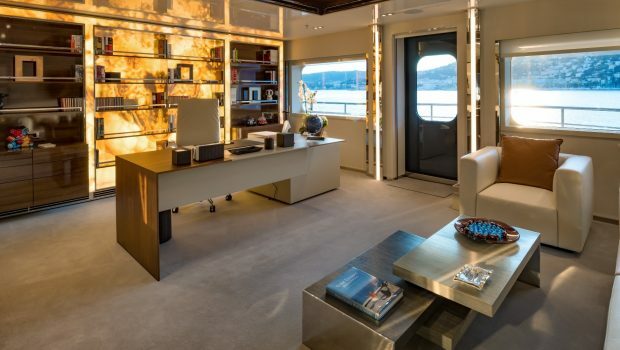 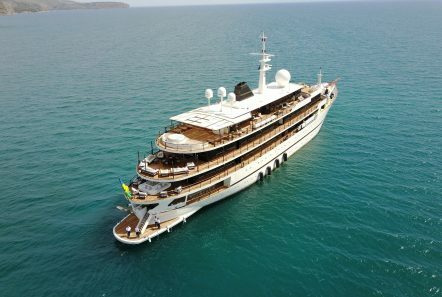 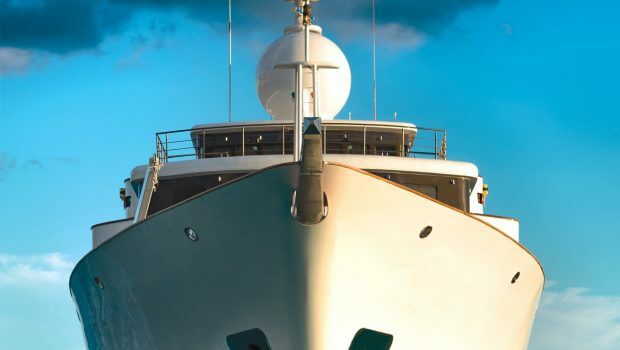 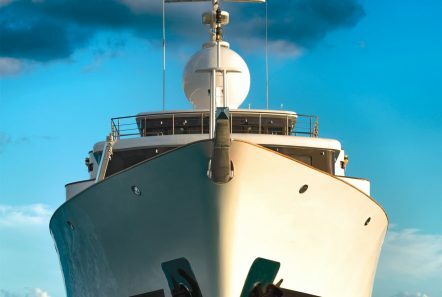 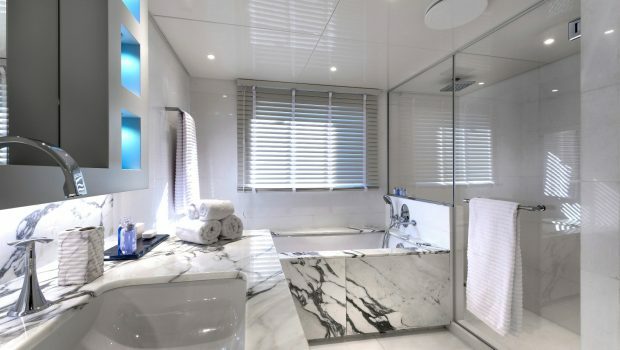 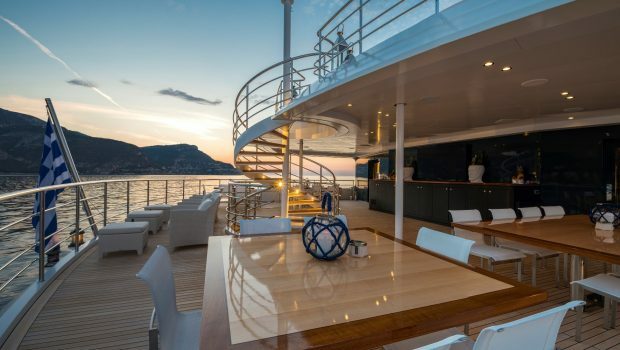 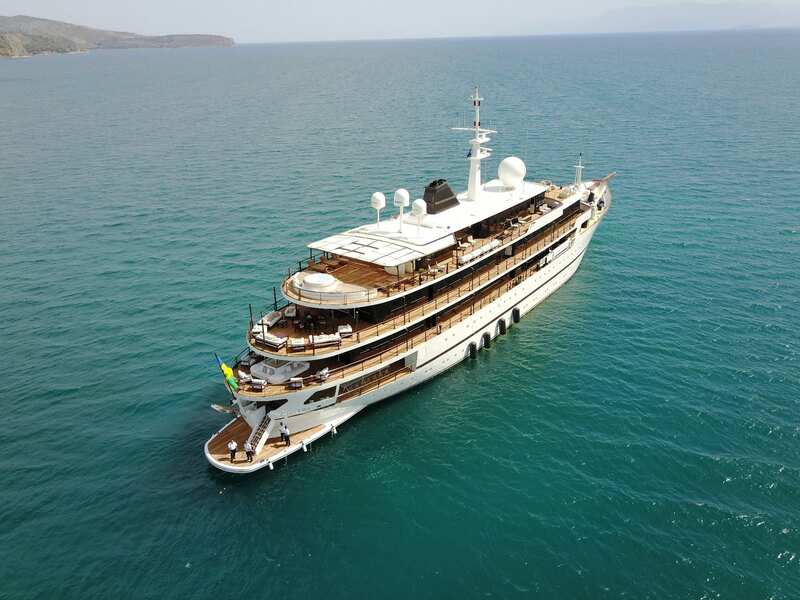 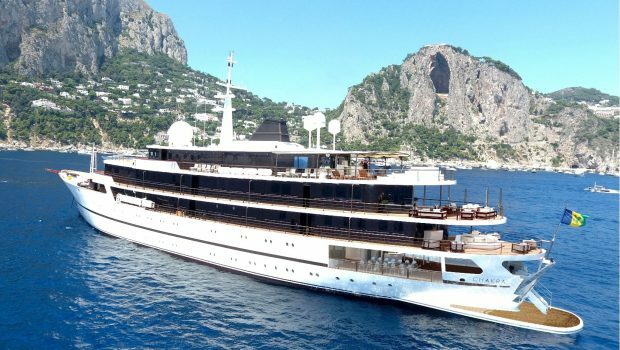 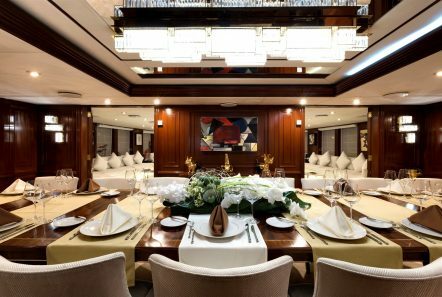 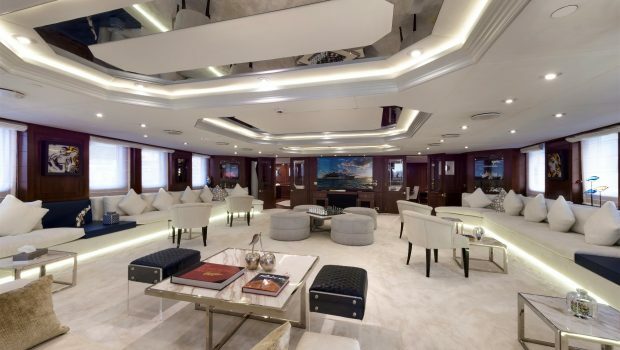 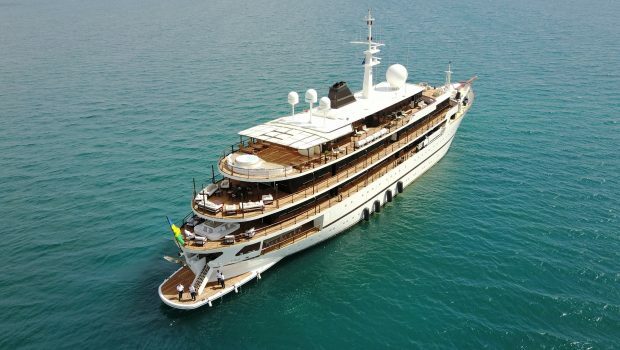 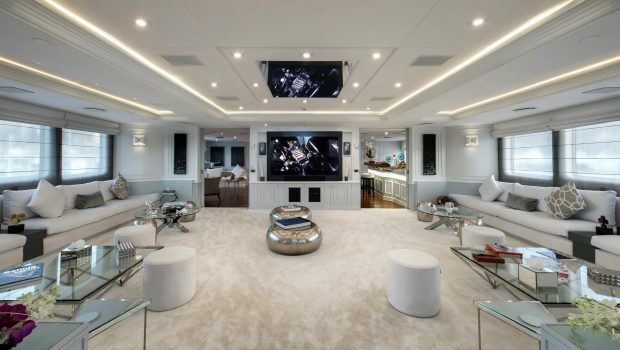 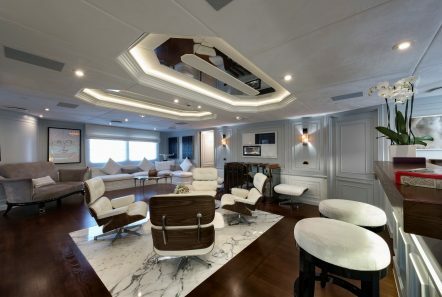 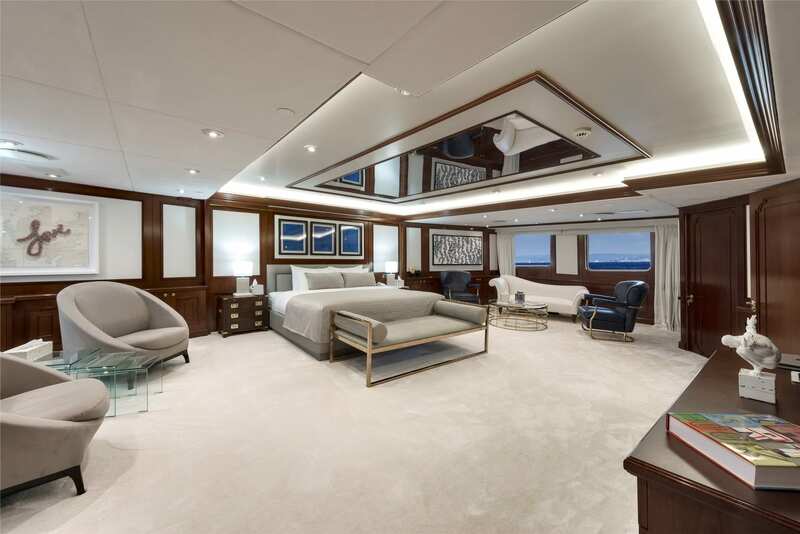 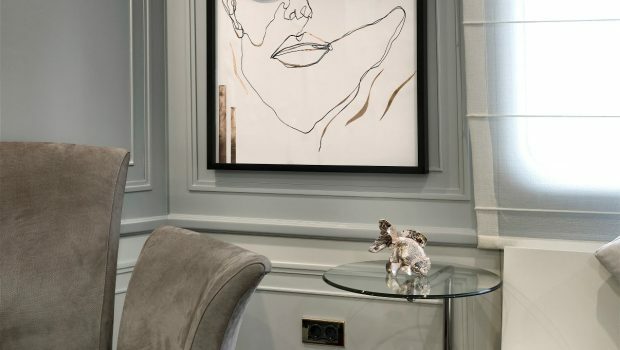 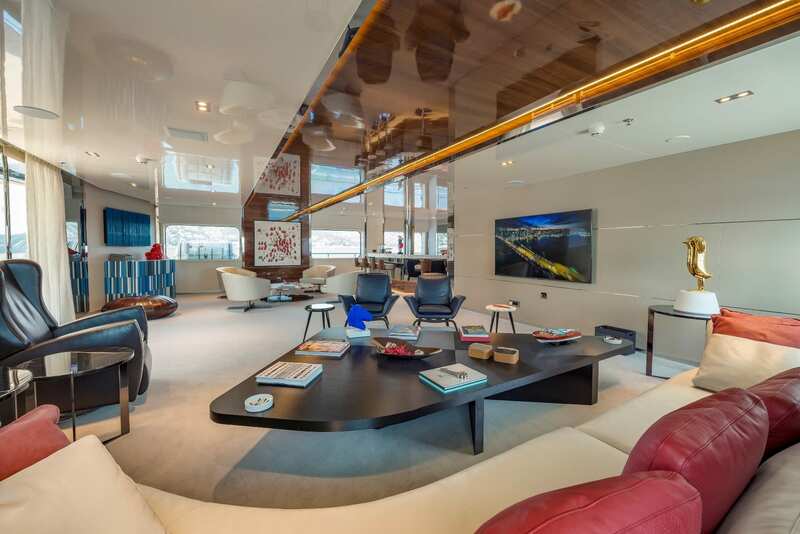 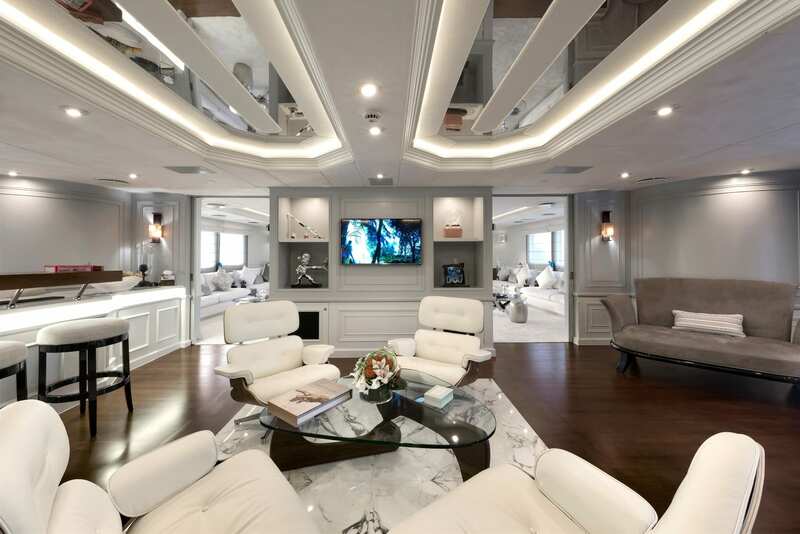 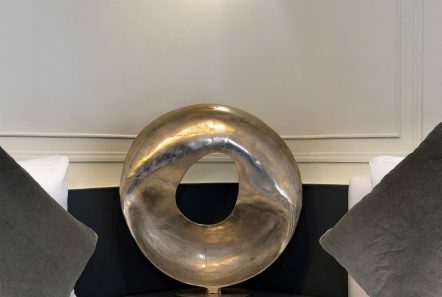 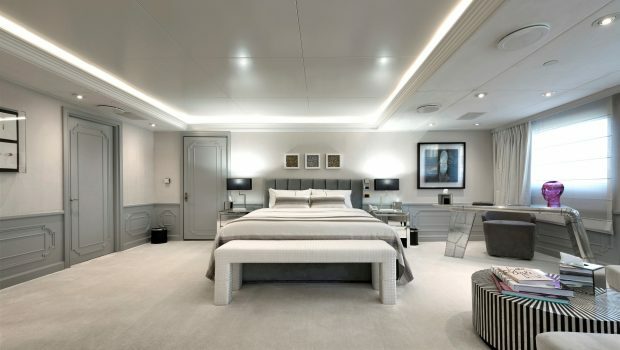 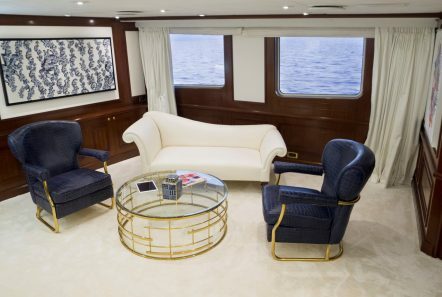 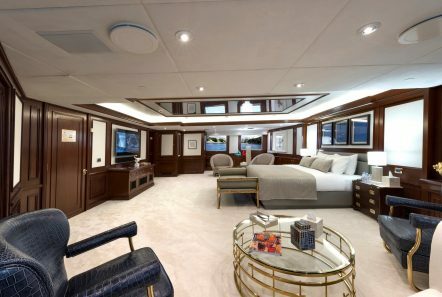 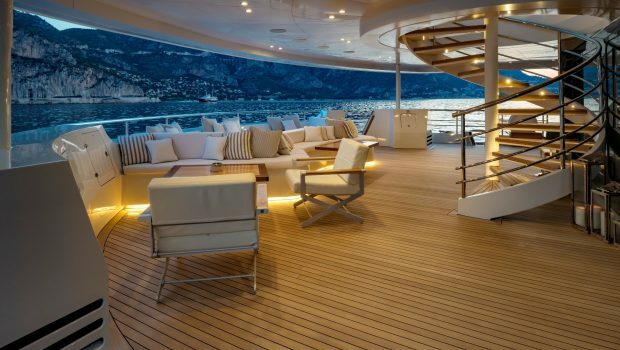 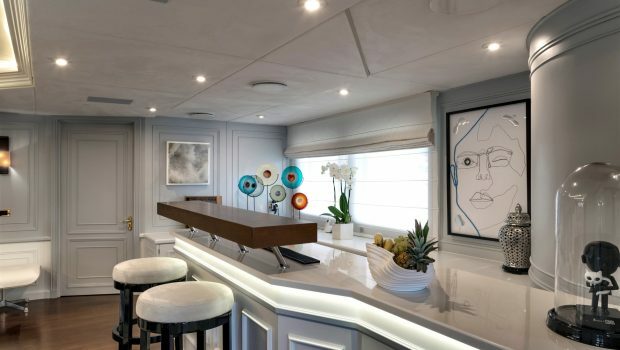 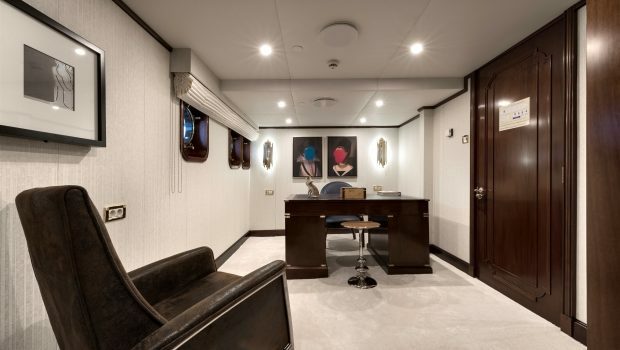 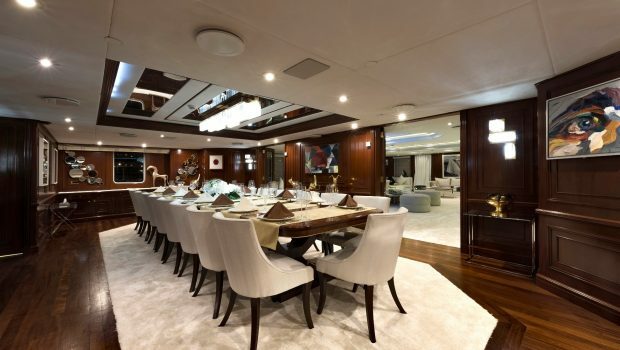 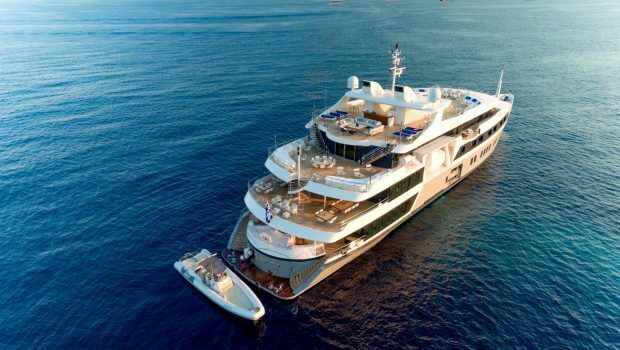 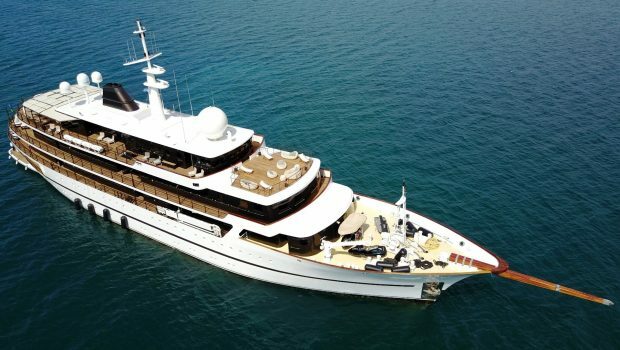 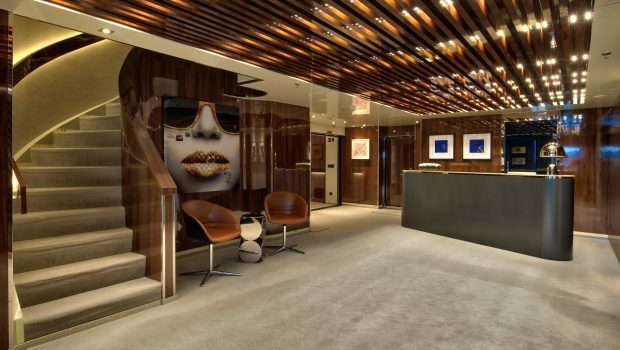 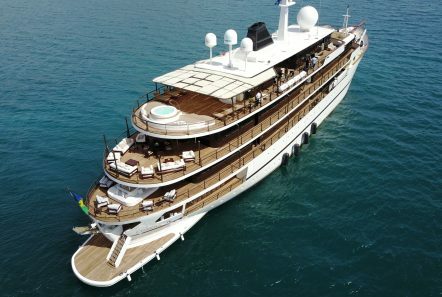 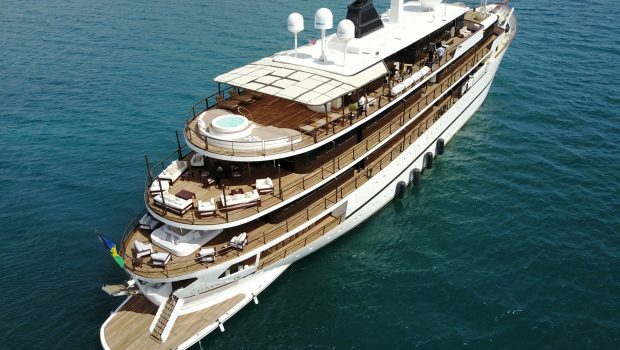 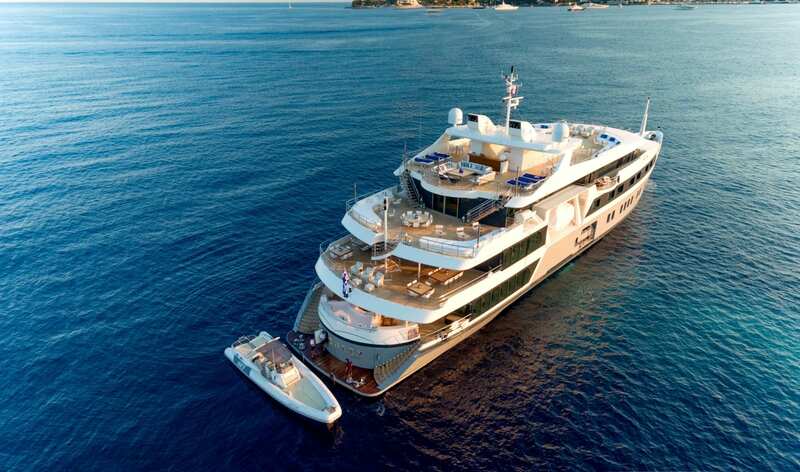 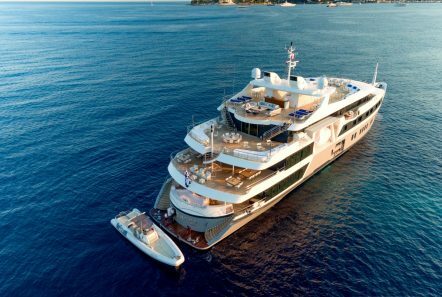 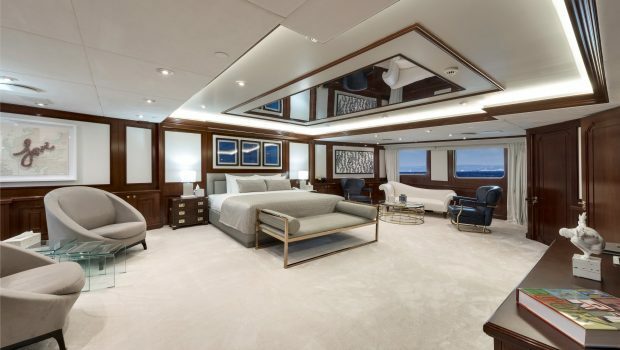 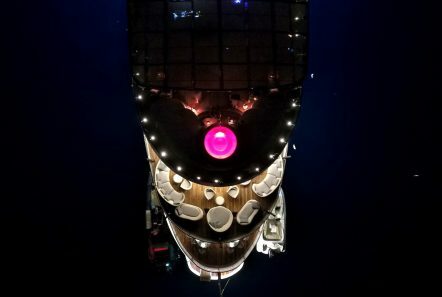 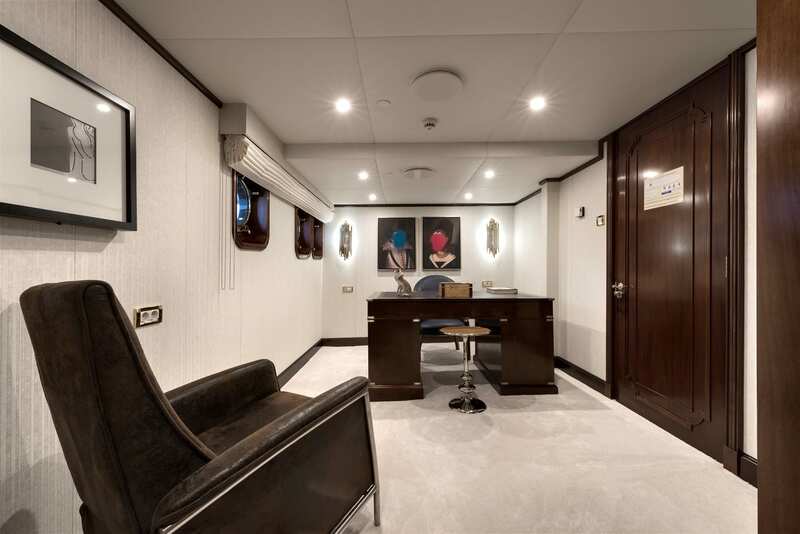 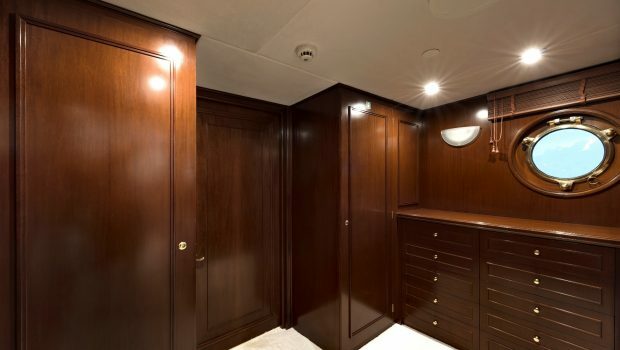 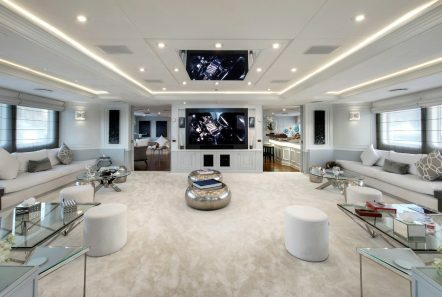 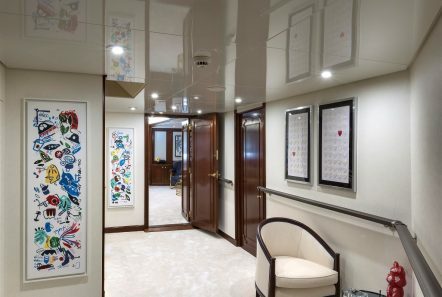 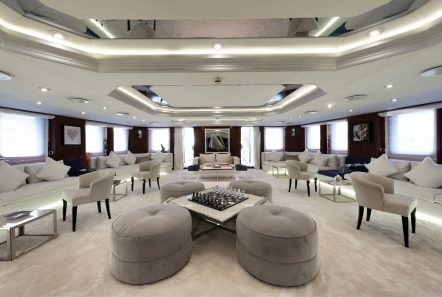 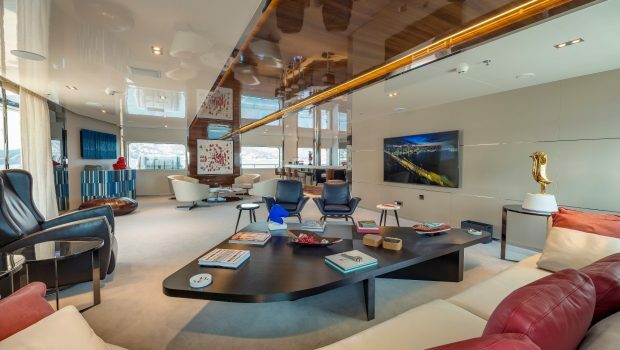 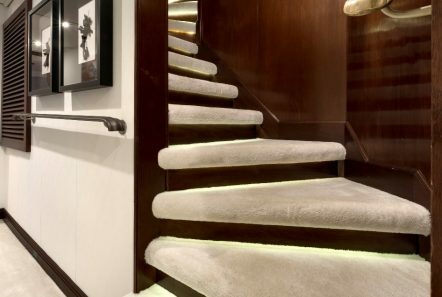 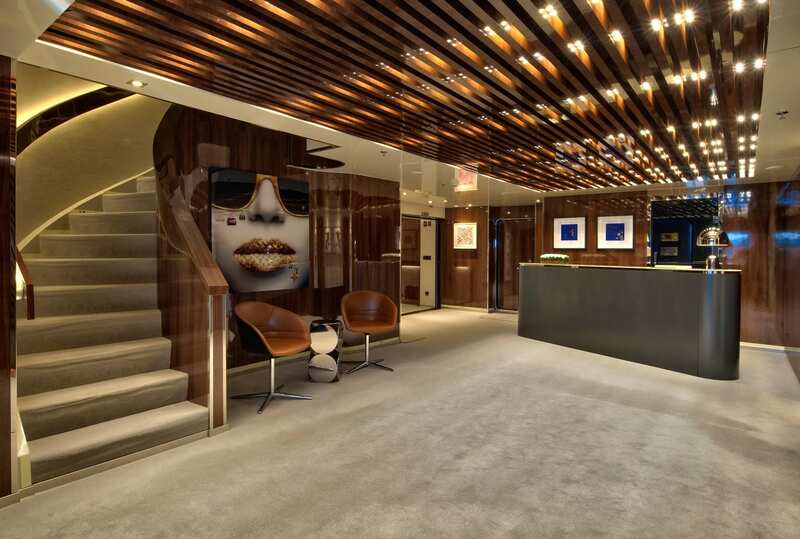 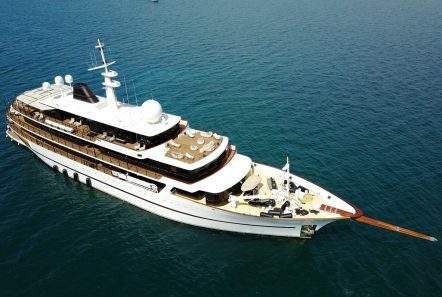 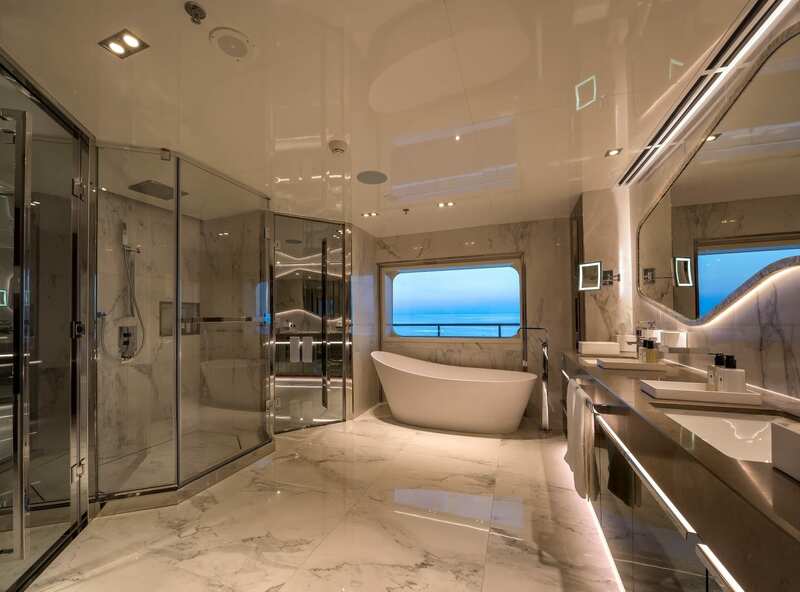 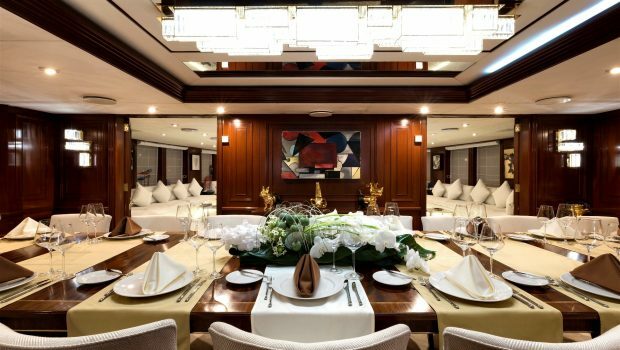 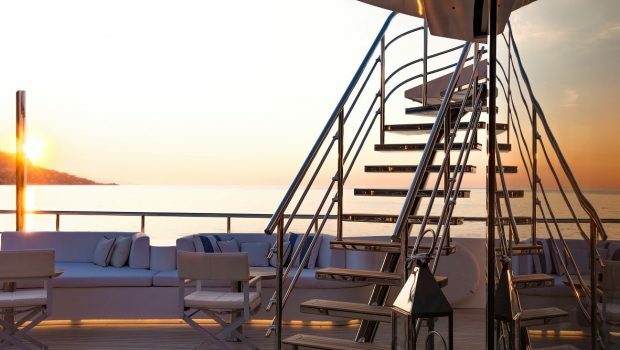 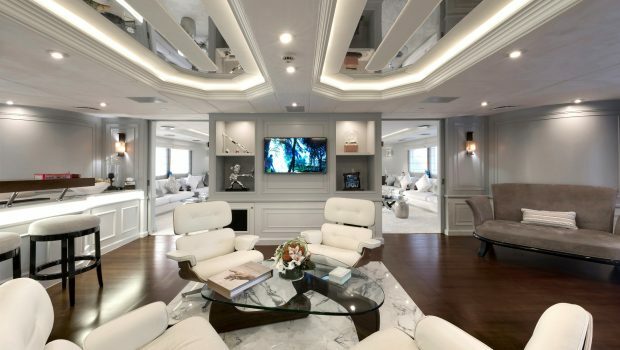 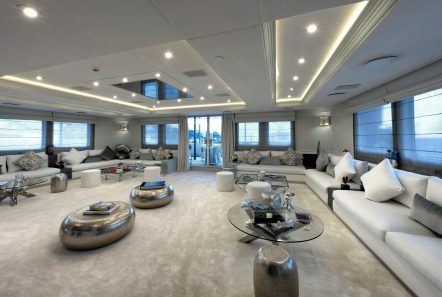 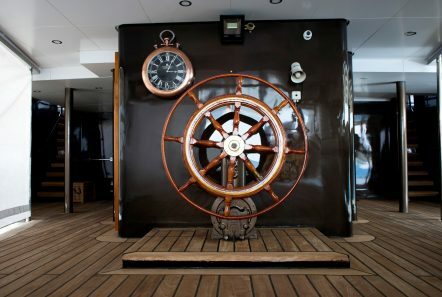 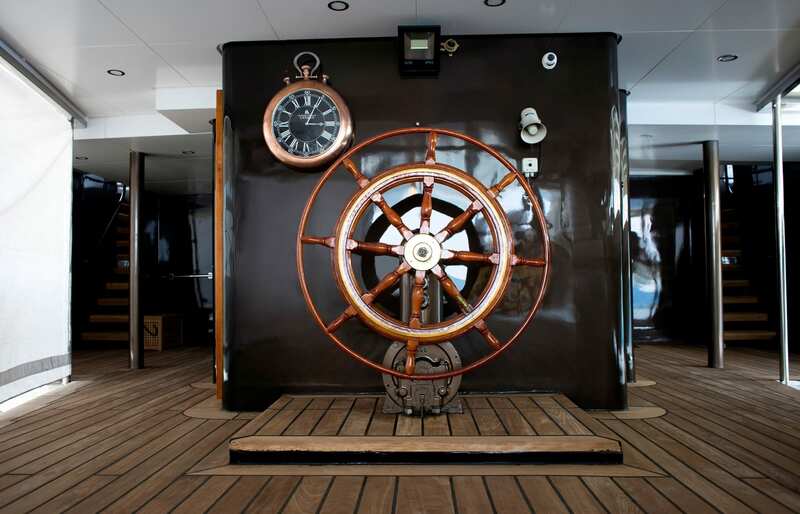 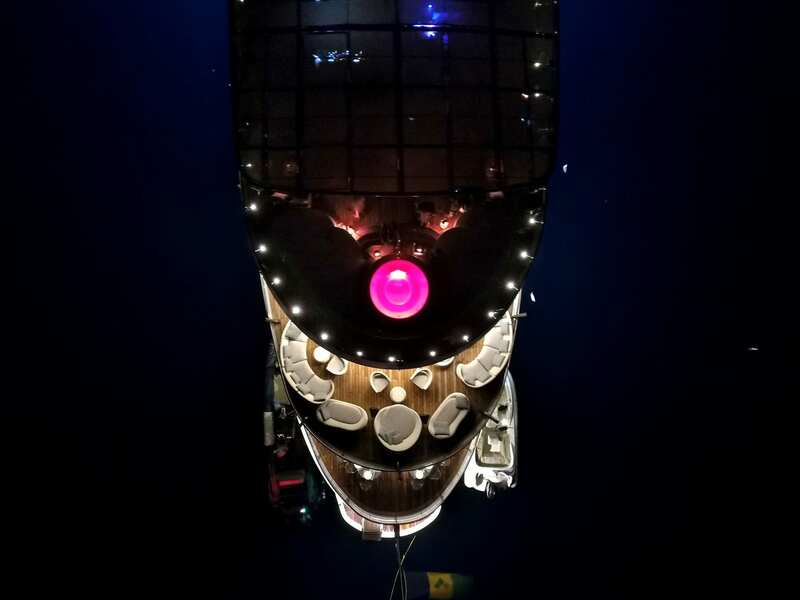 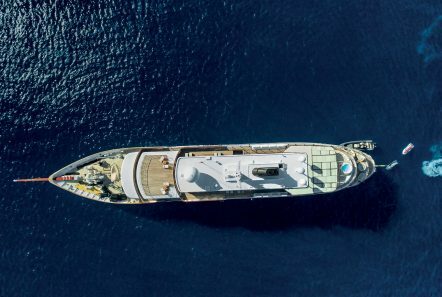 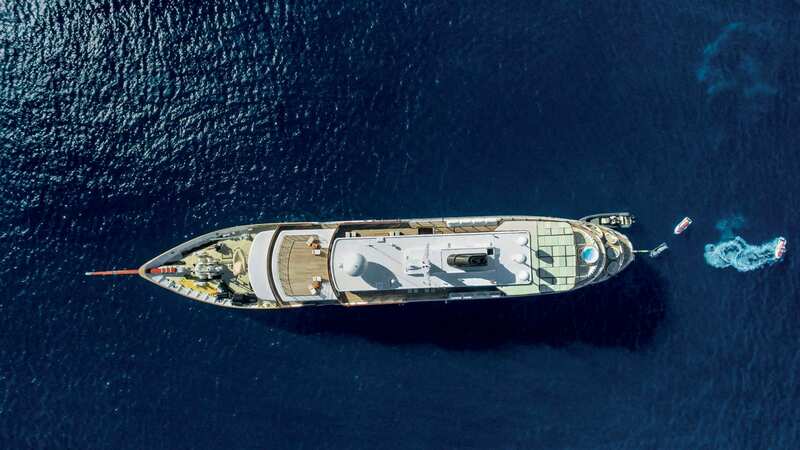 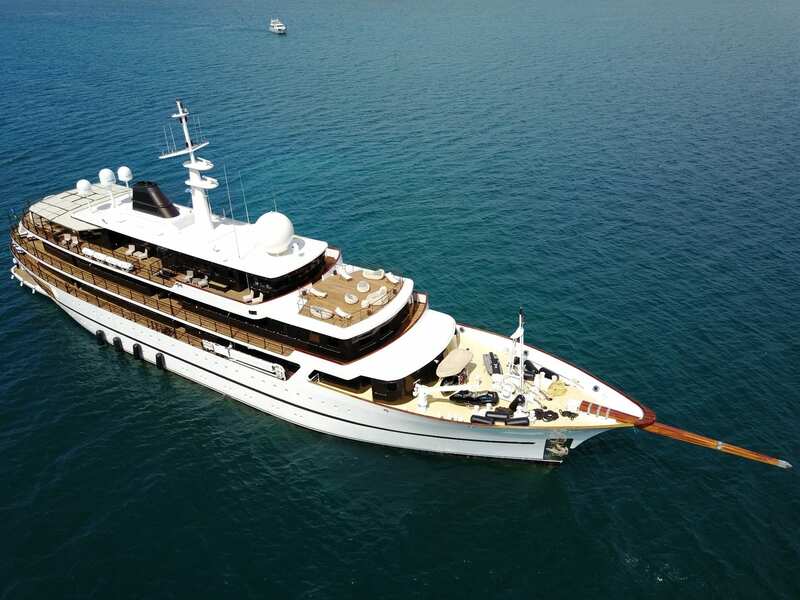 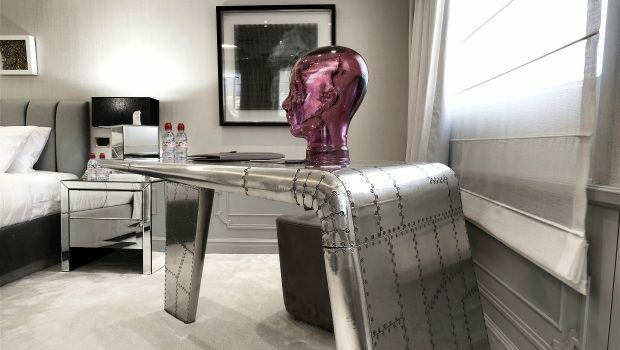 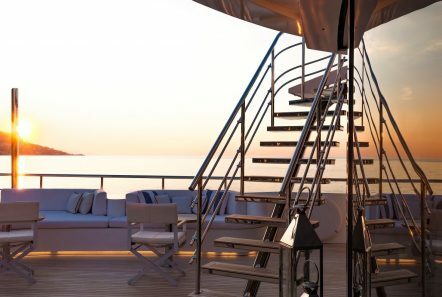 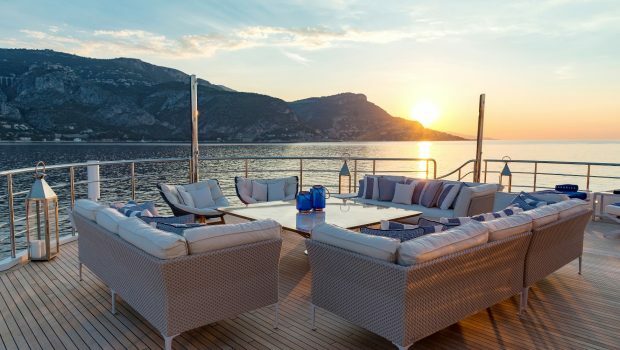 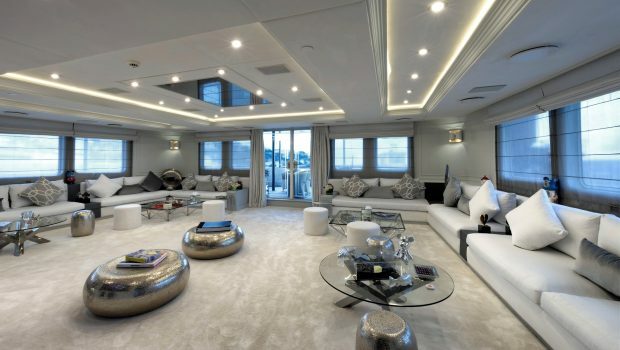 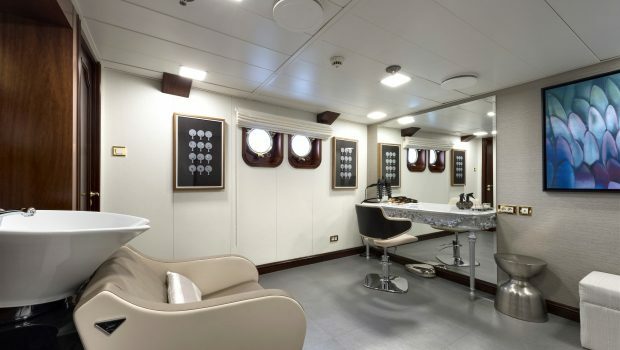 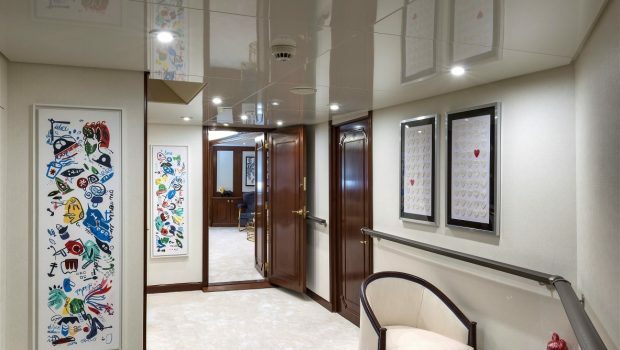 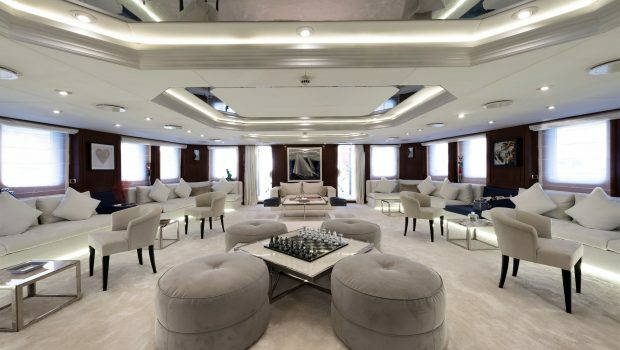 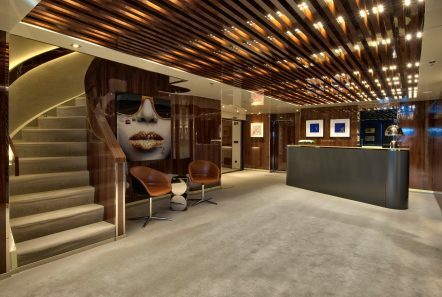 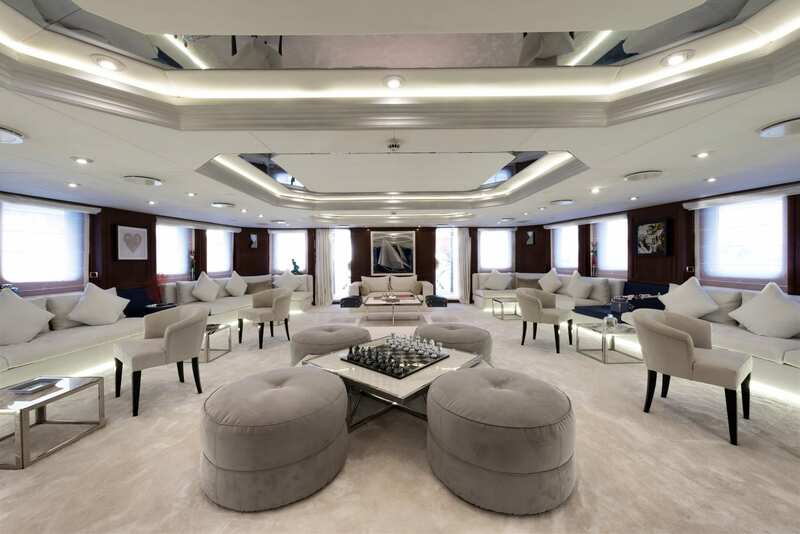 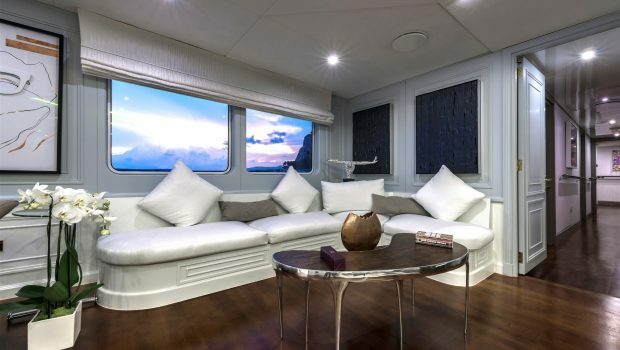 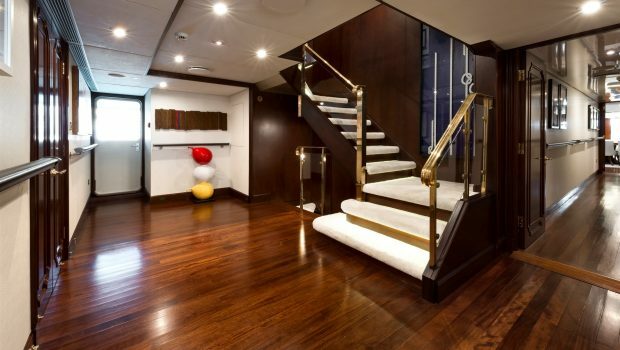 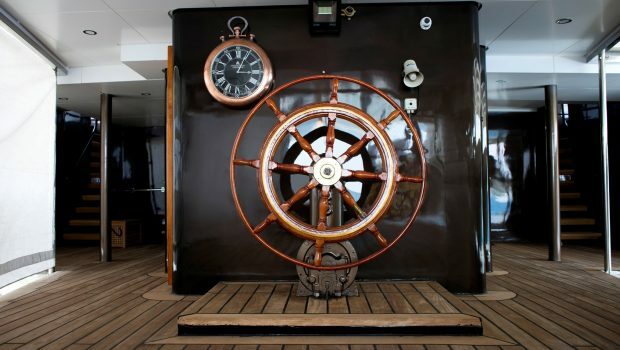 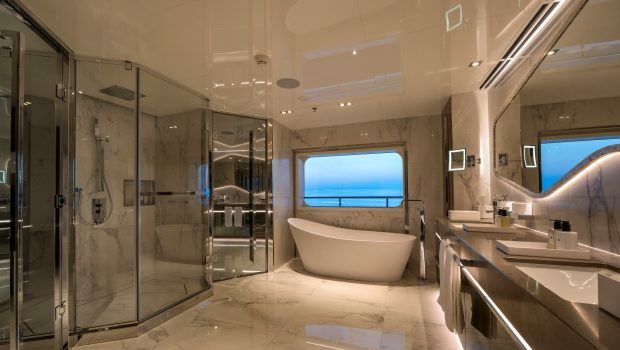 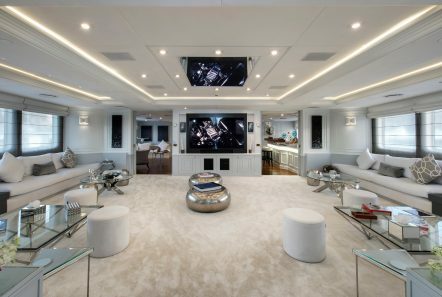 This exquisite superyacht has just completed a major refit. 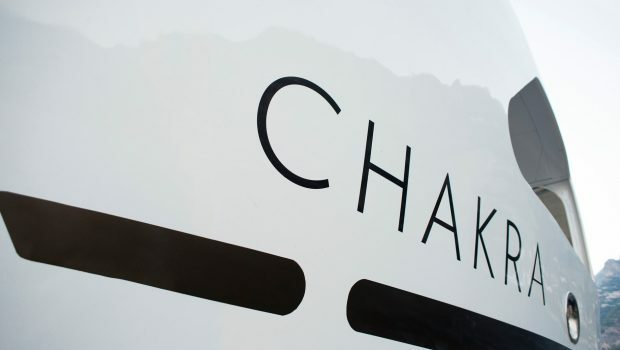 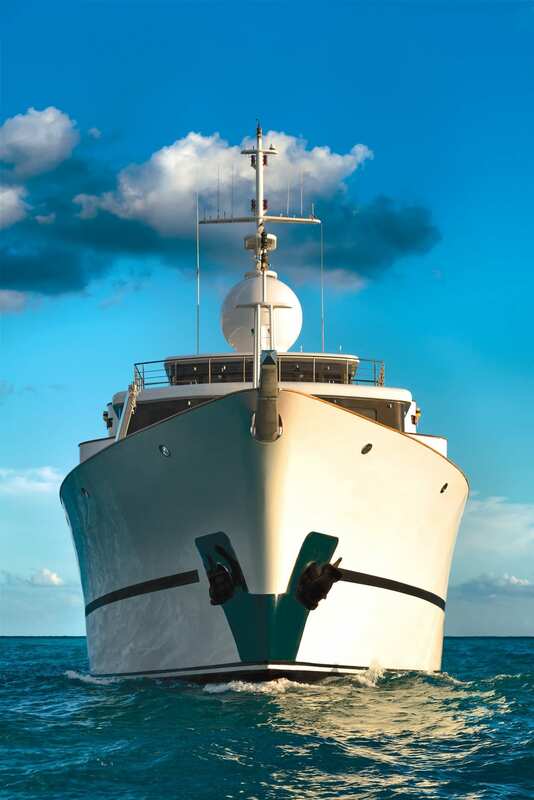 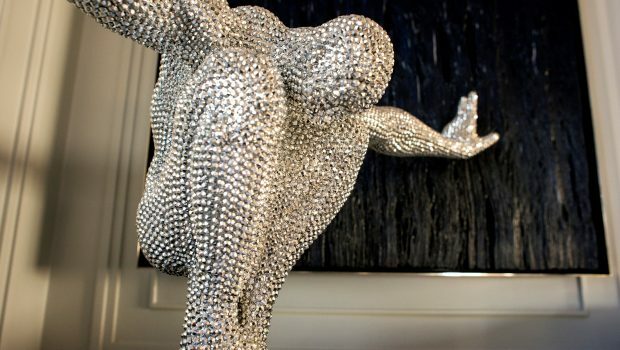 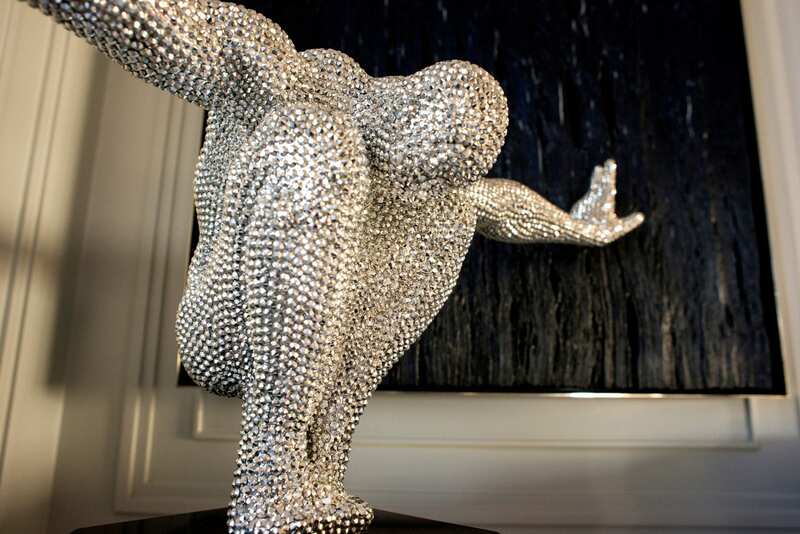 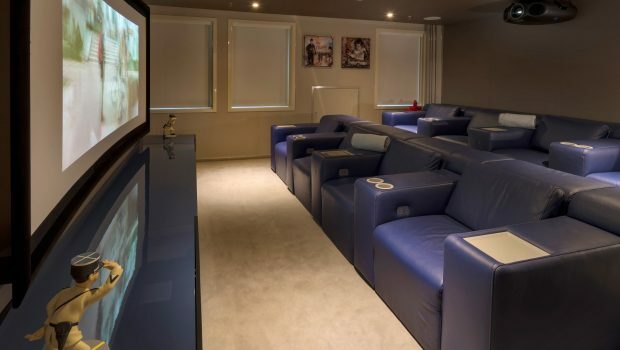 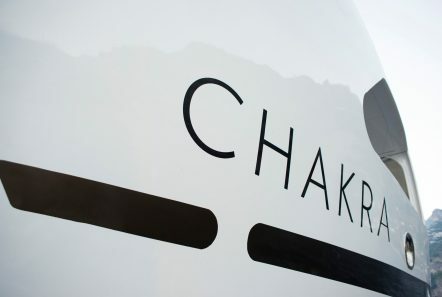 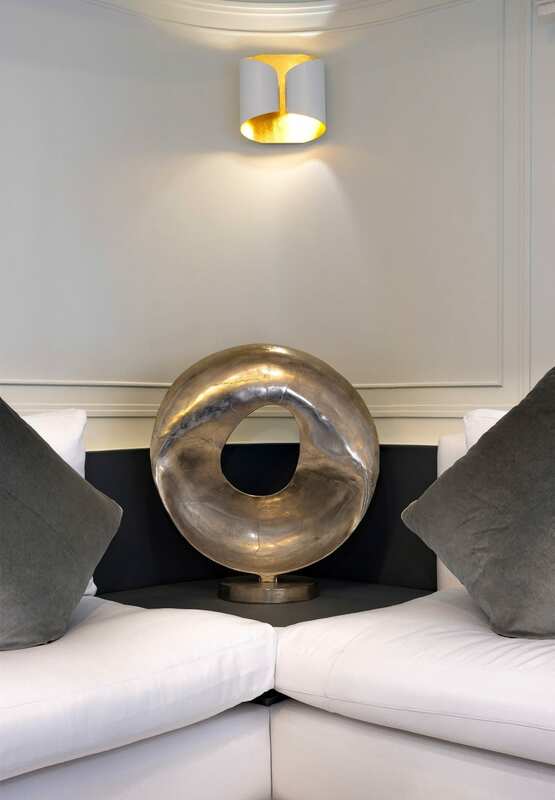 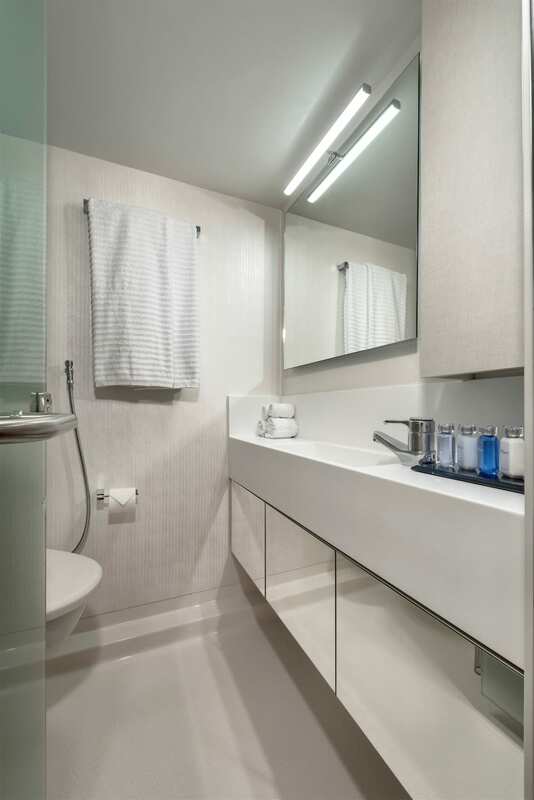 CHAKRA joins the charter market offering a full range of amenities in exceptional surroundings. 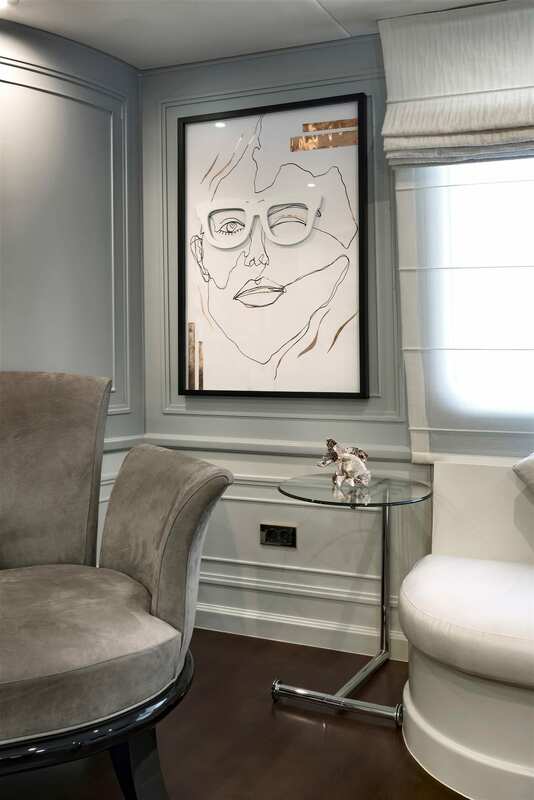 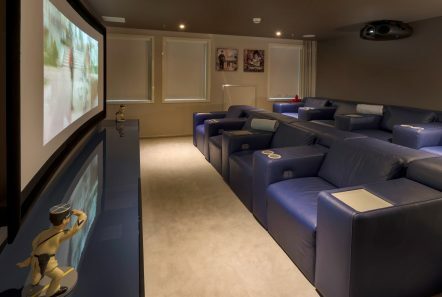 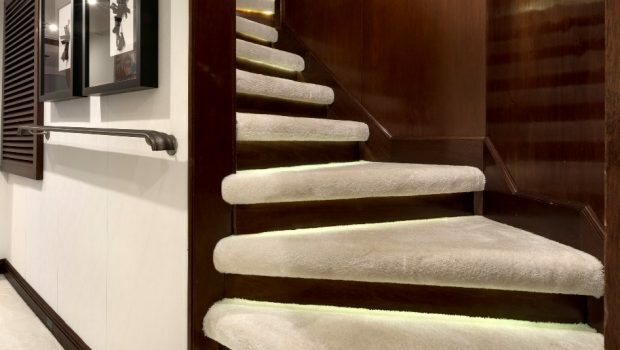 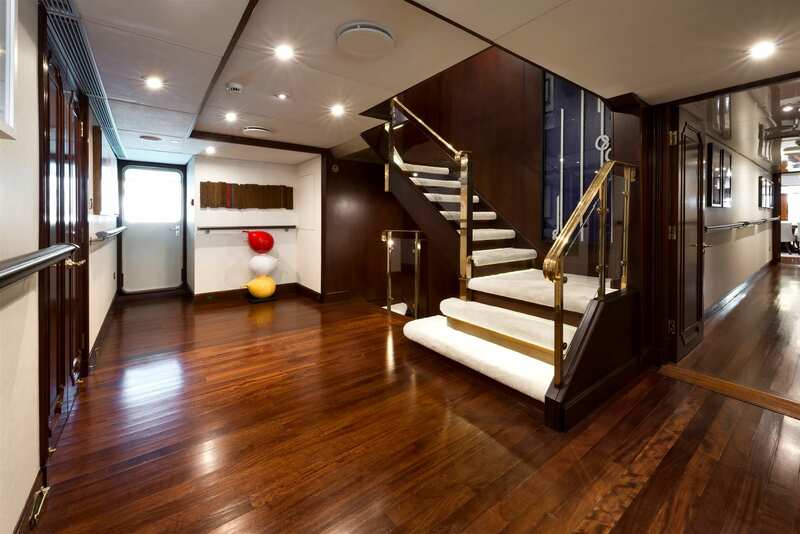 Her refreshed interiors feature light upholstery to contrast with the hardwood decks. 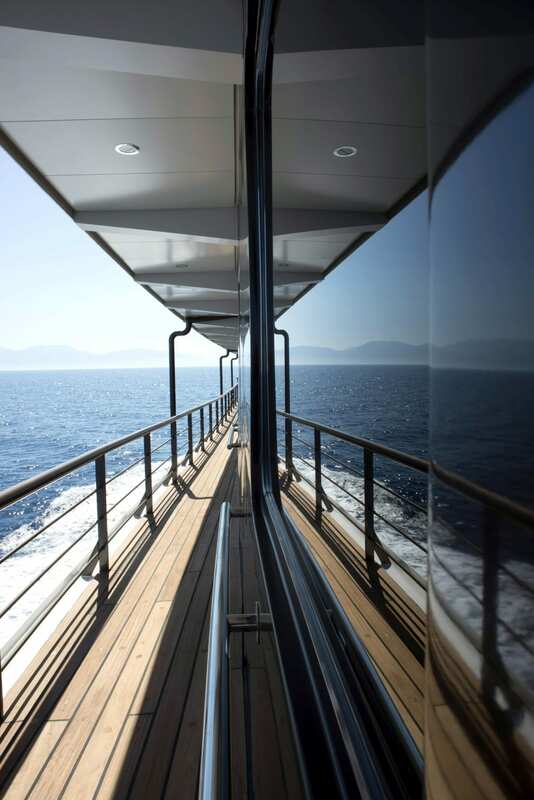 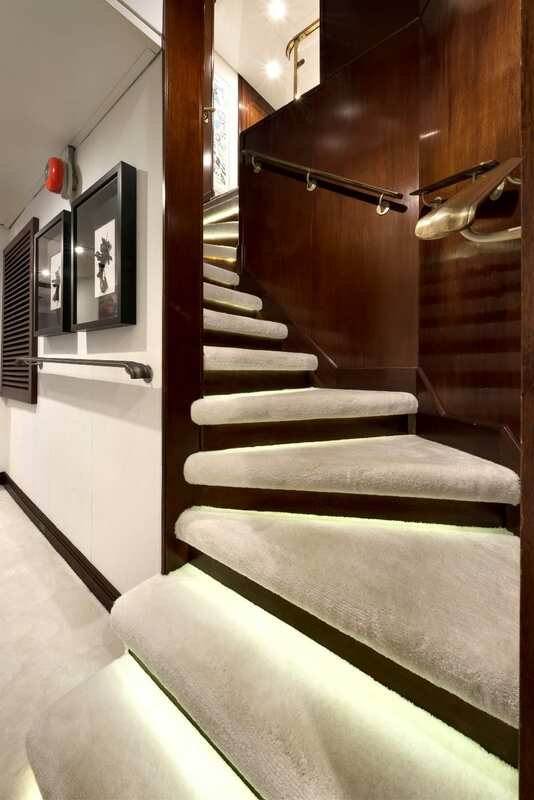 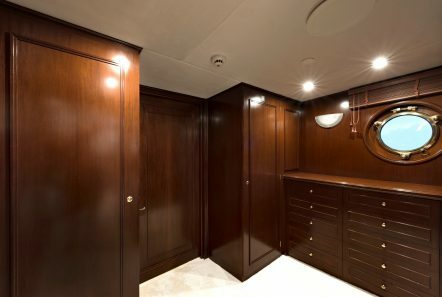 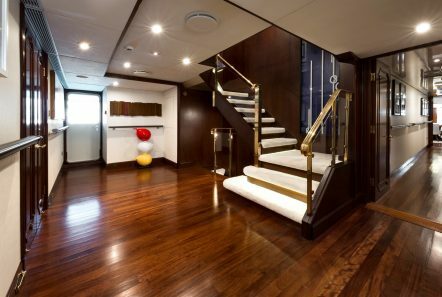 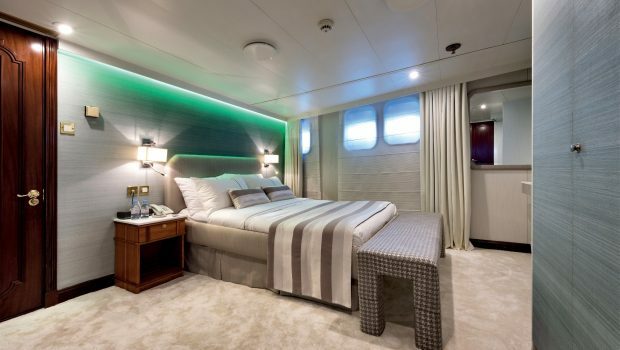 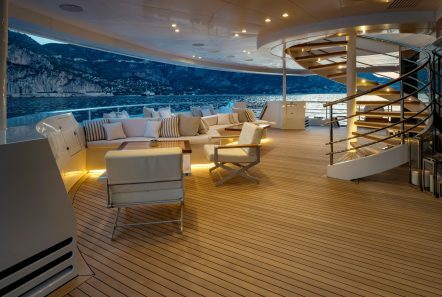 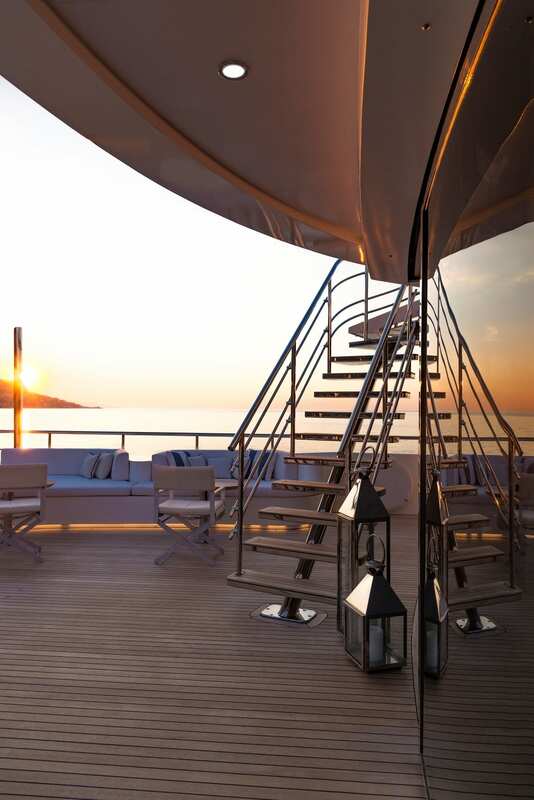 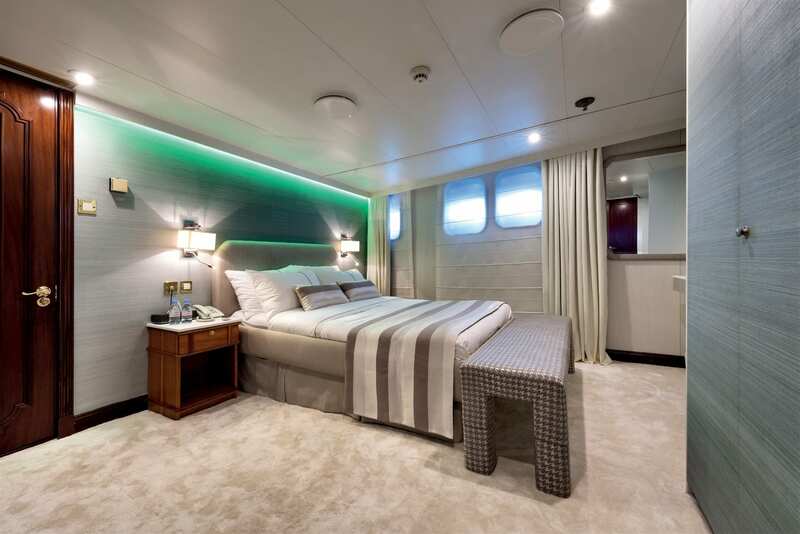 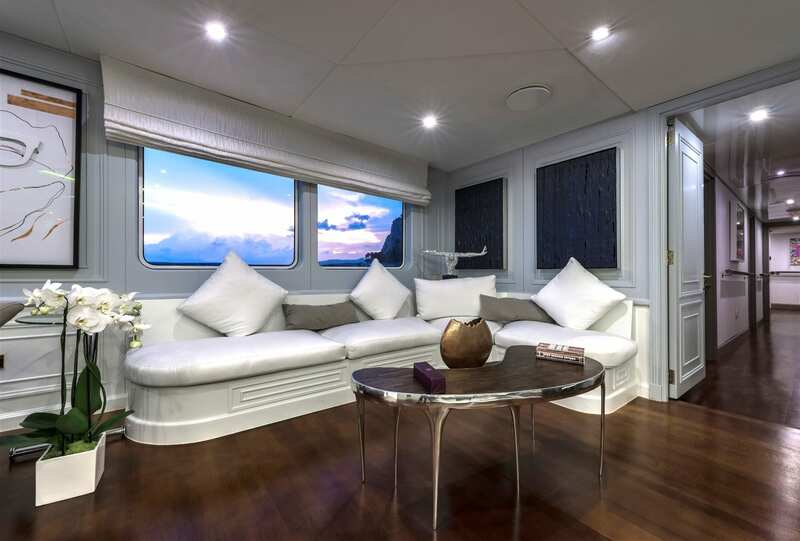 Chakra’s five decks and 12.5 meter beam create a total interior volume of 2,083GT. 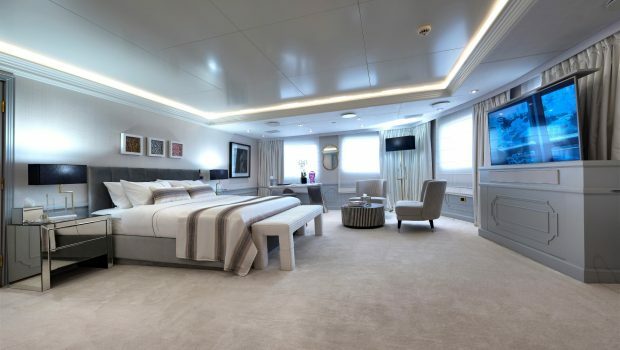 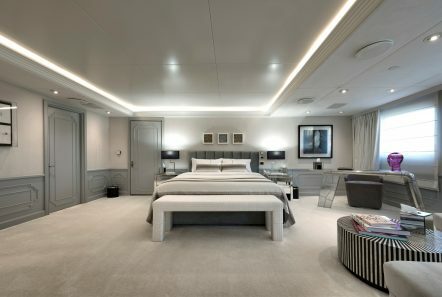 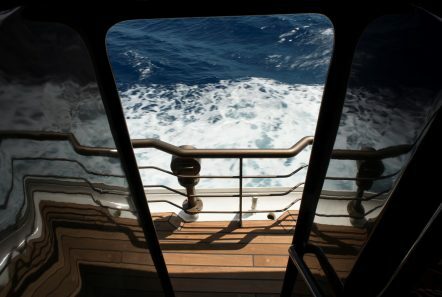 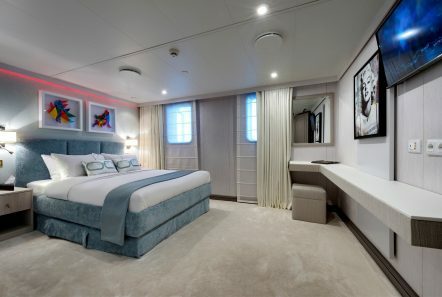 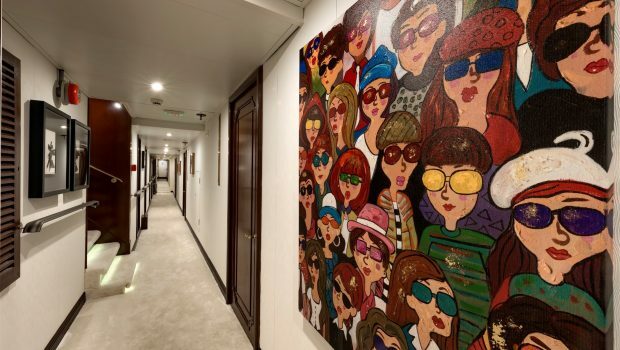 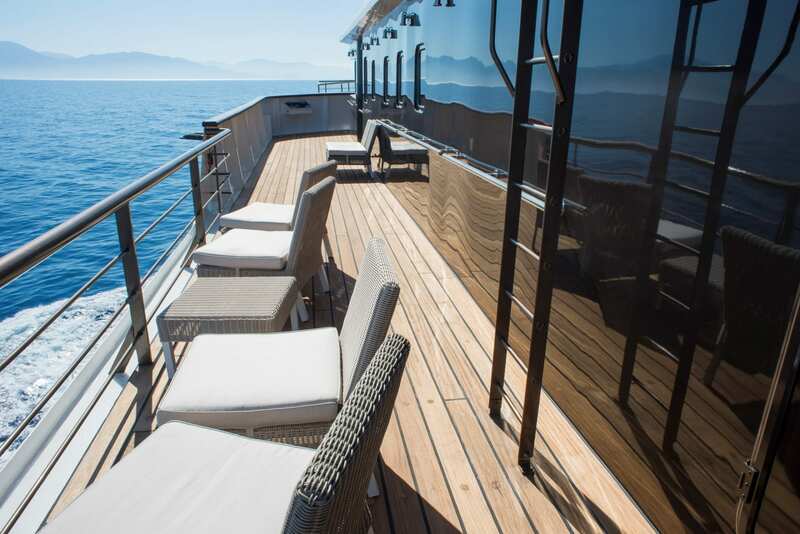 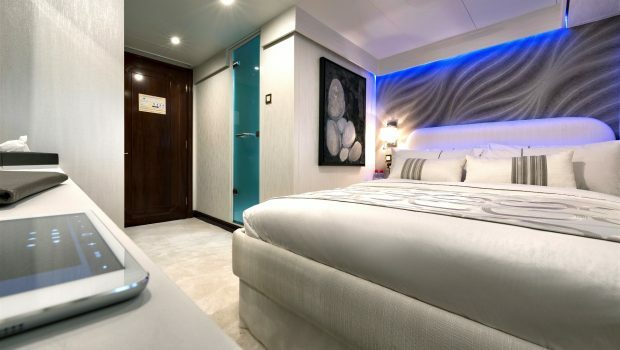 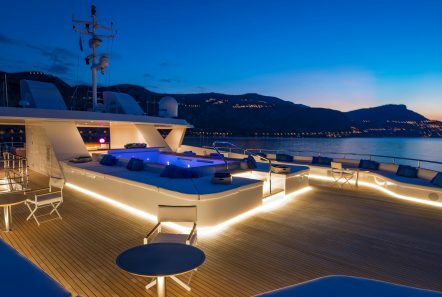 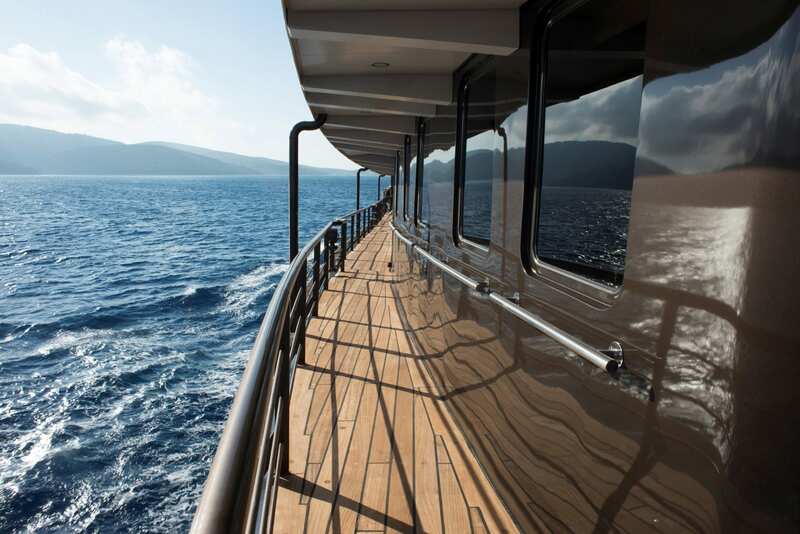 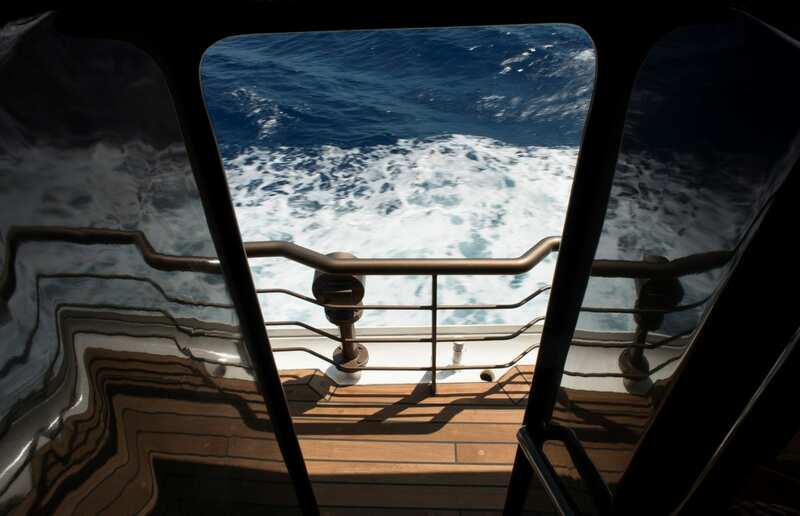 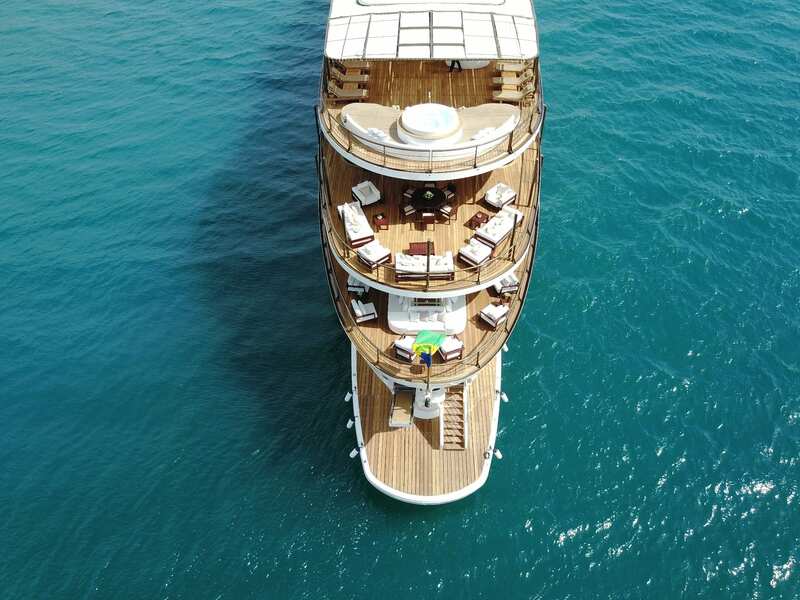 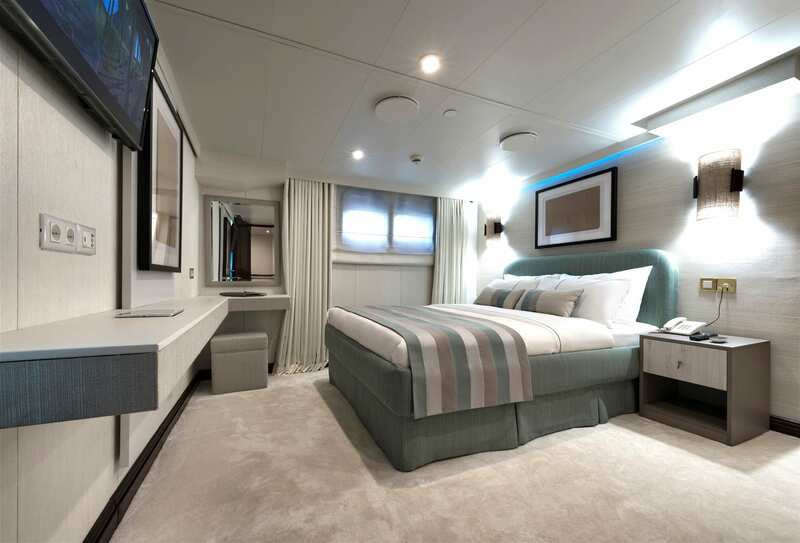 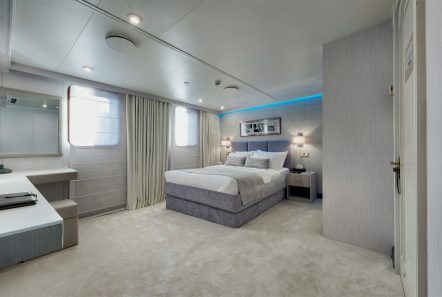 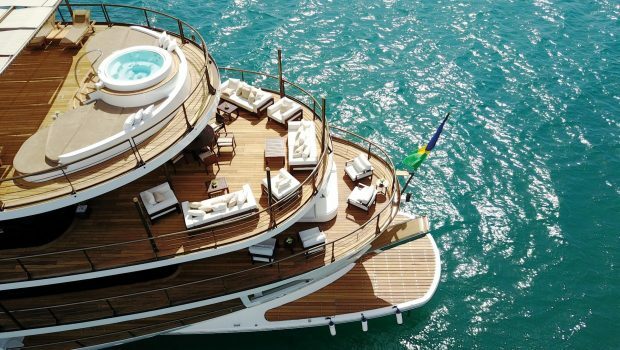 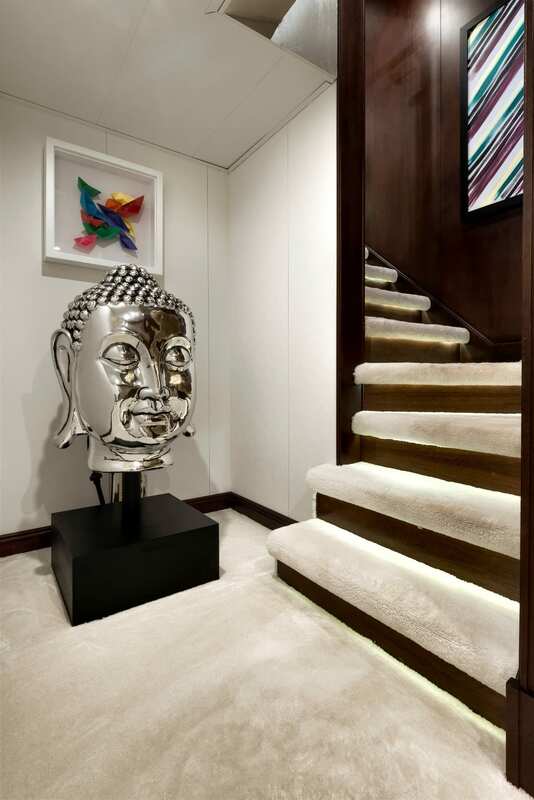 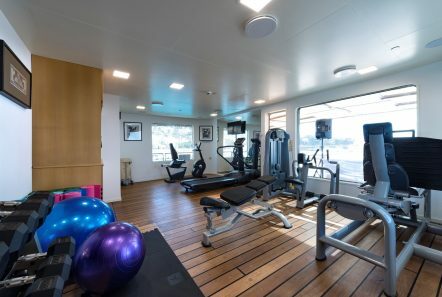 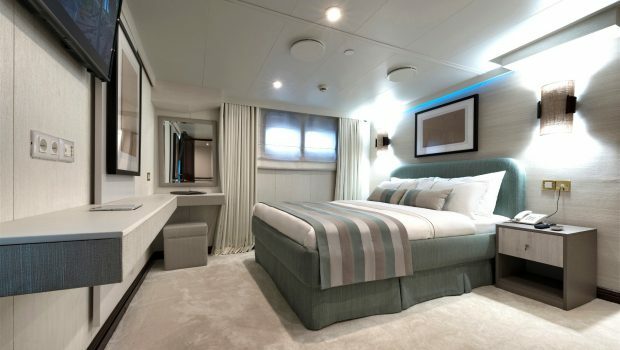 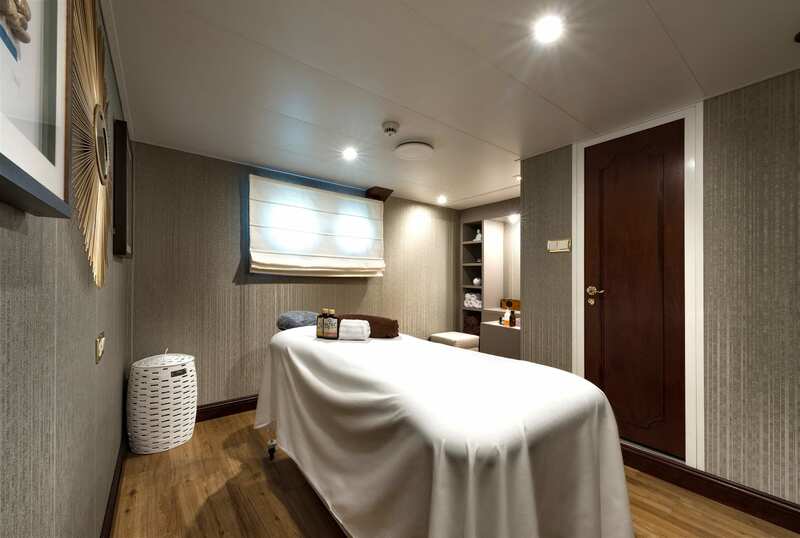 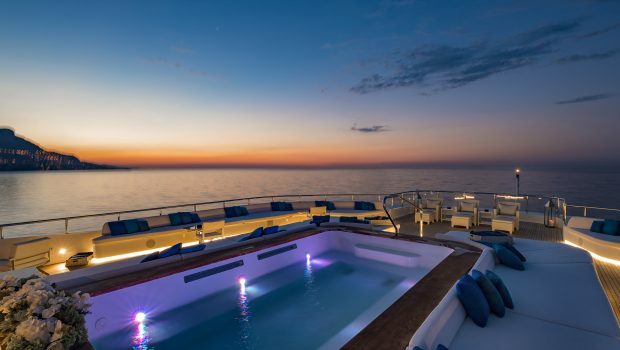 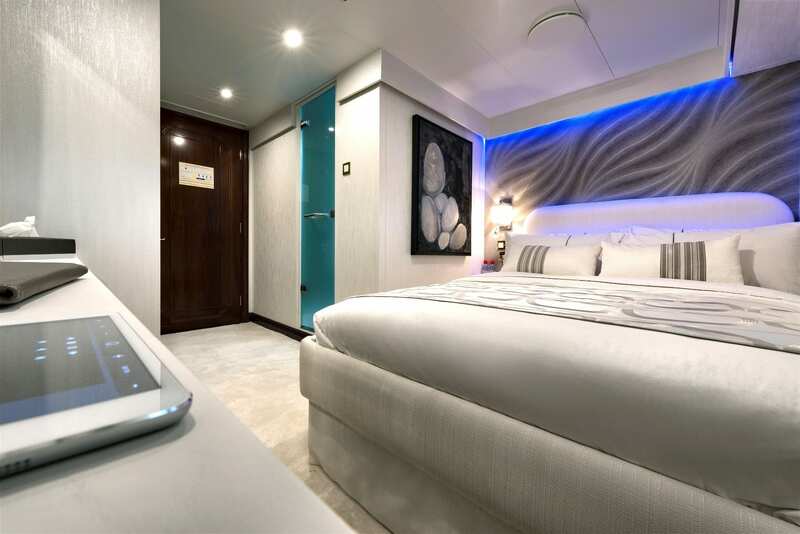 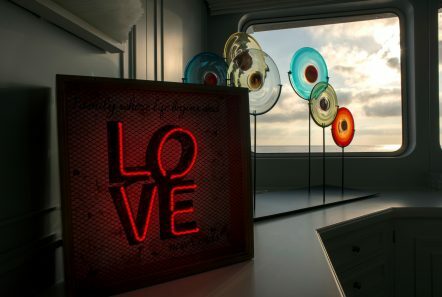 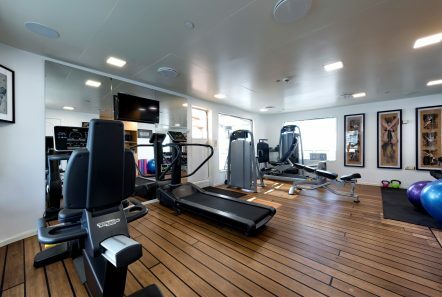 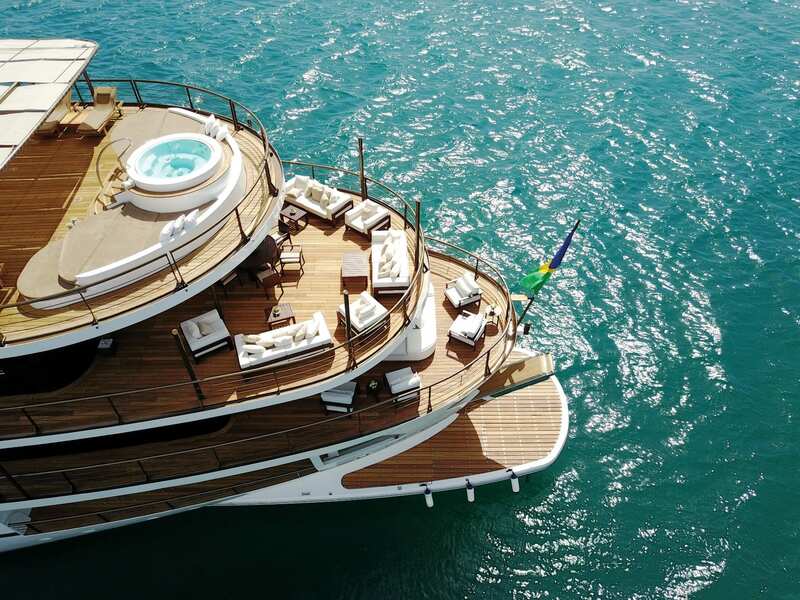 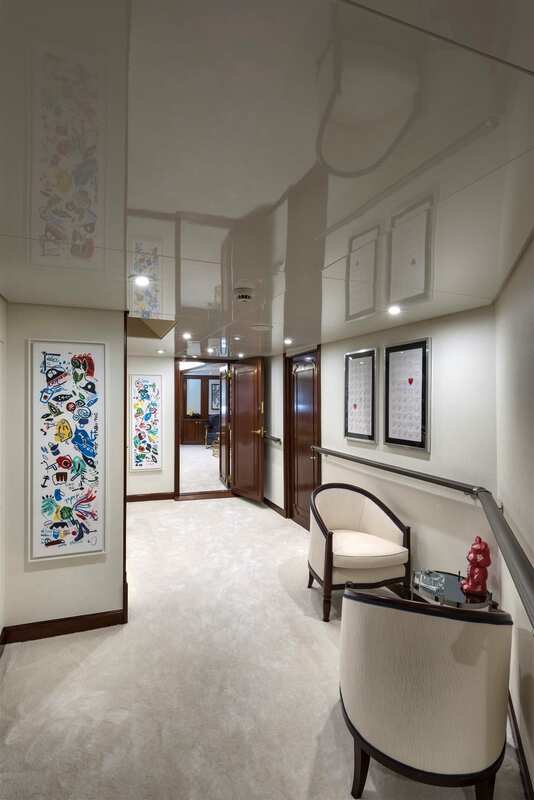 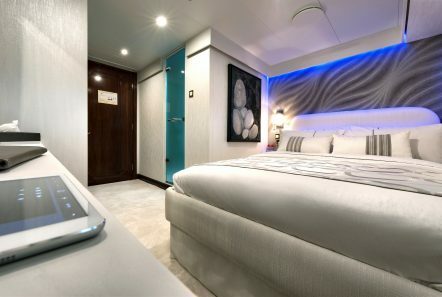 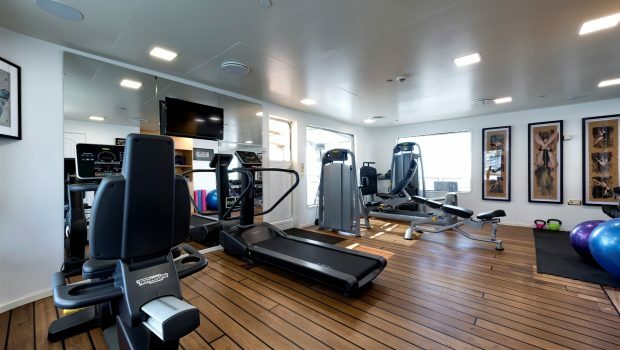 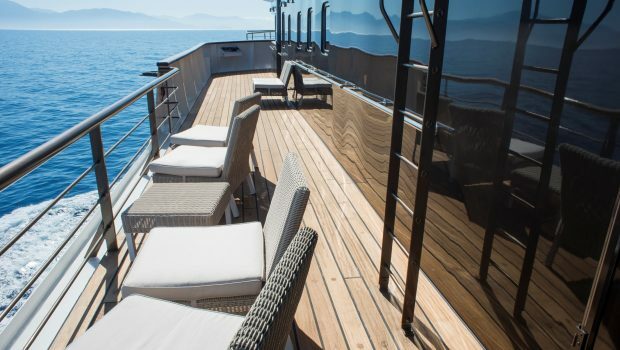 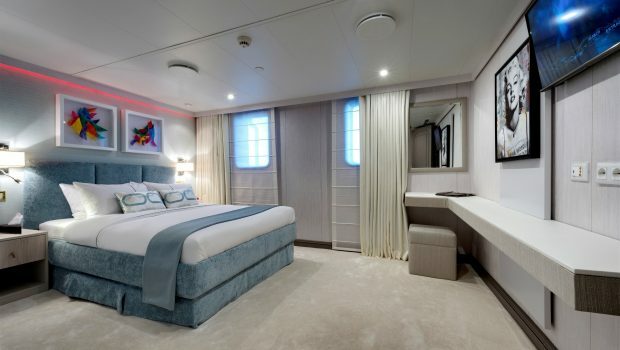 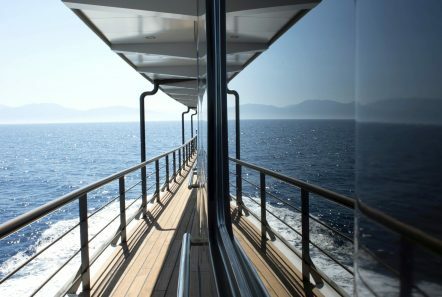 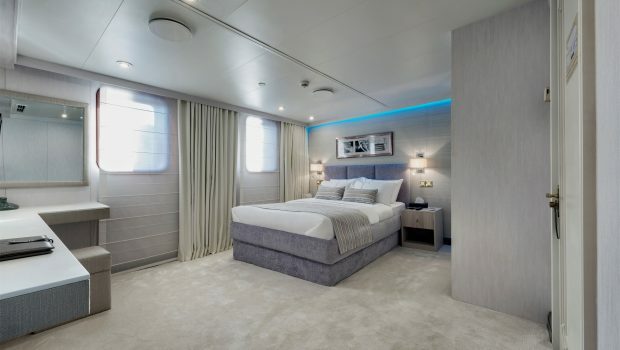 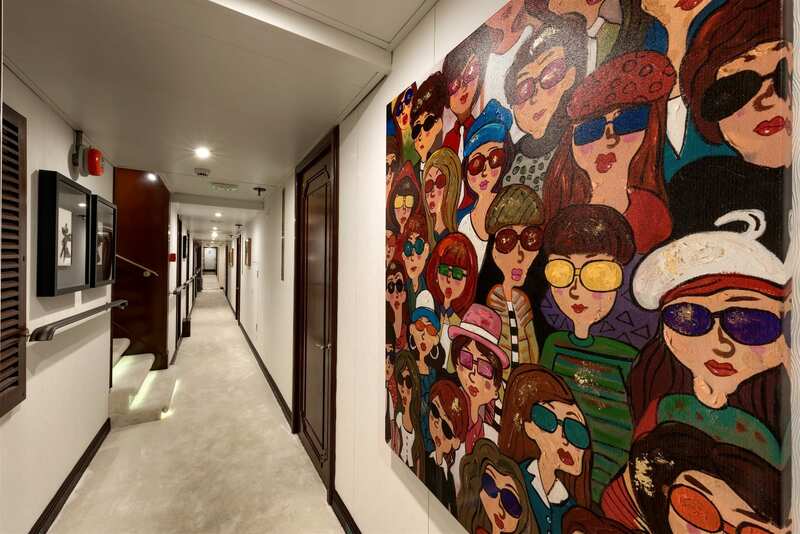 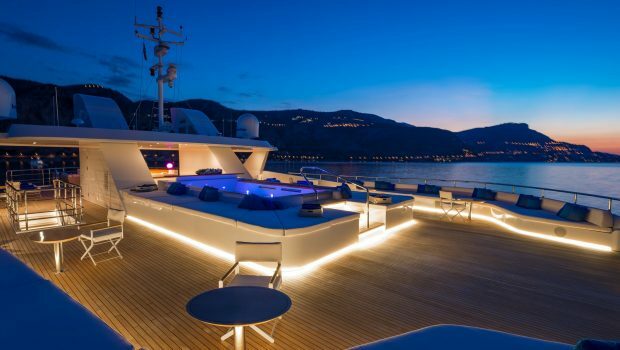 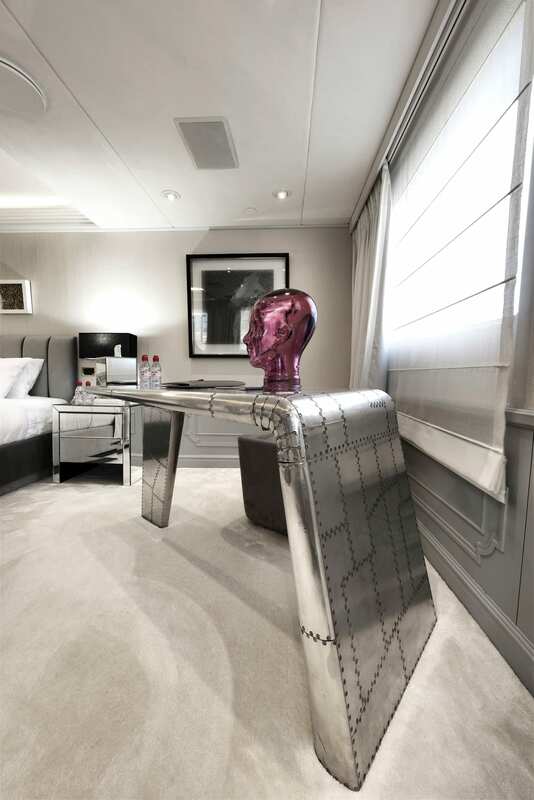 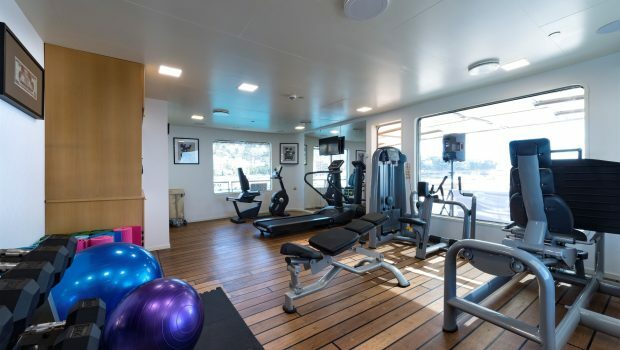 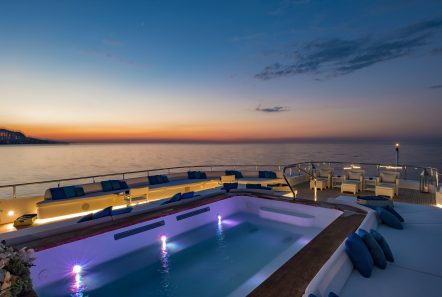 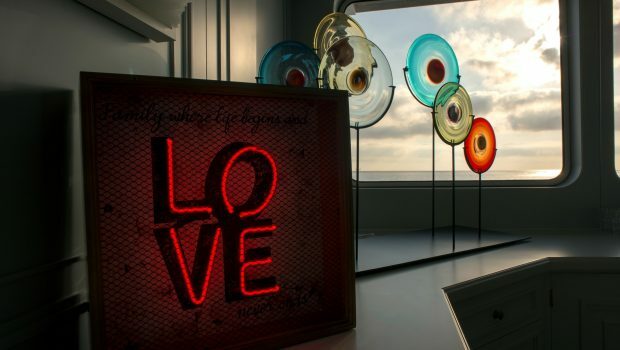 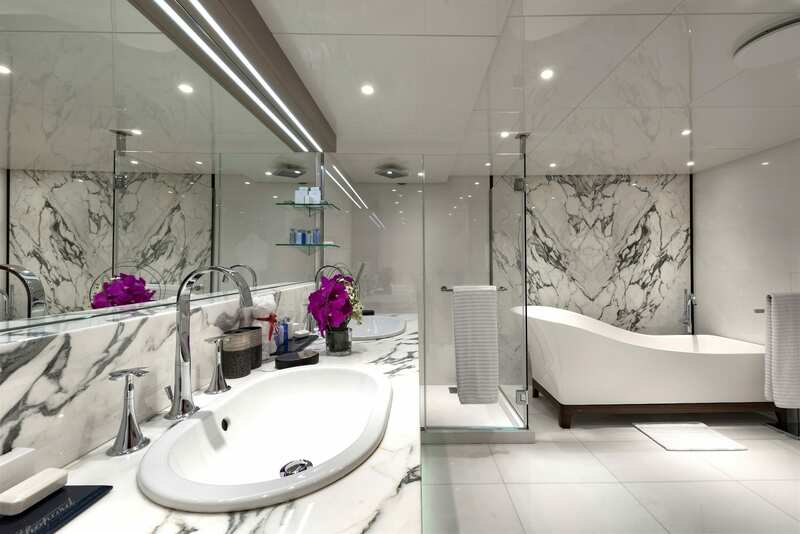 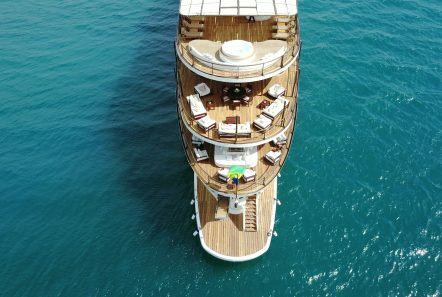 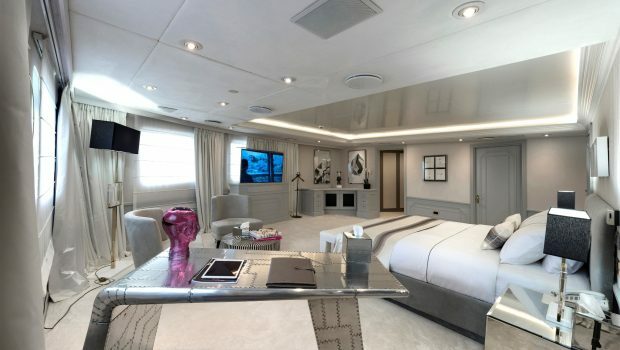 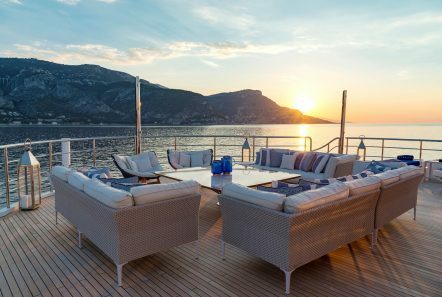 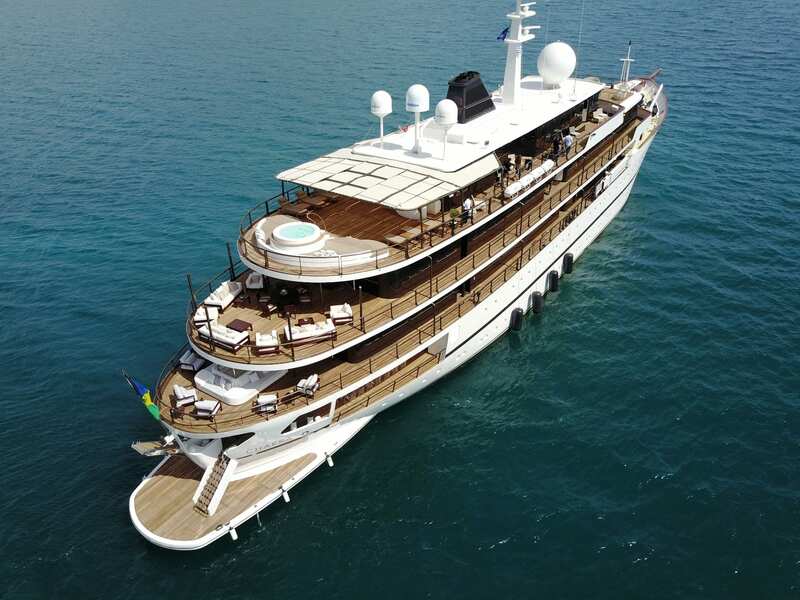 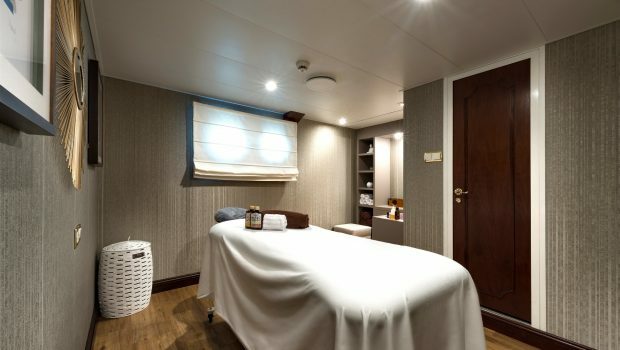 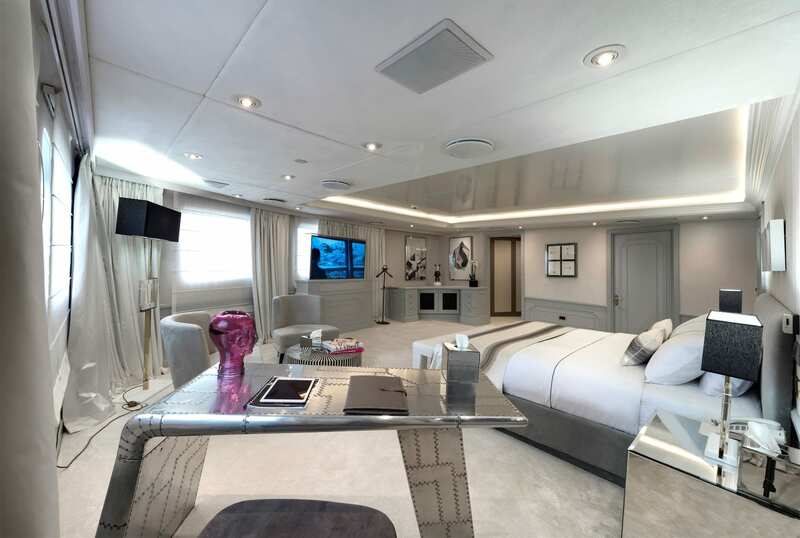 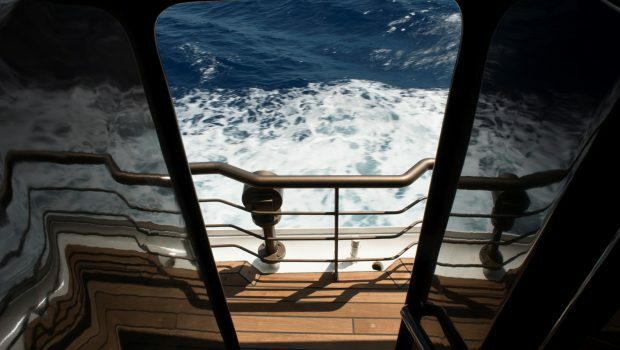 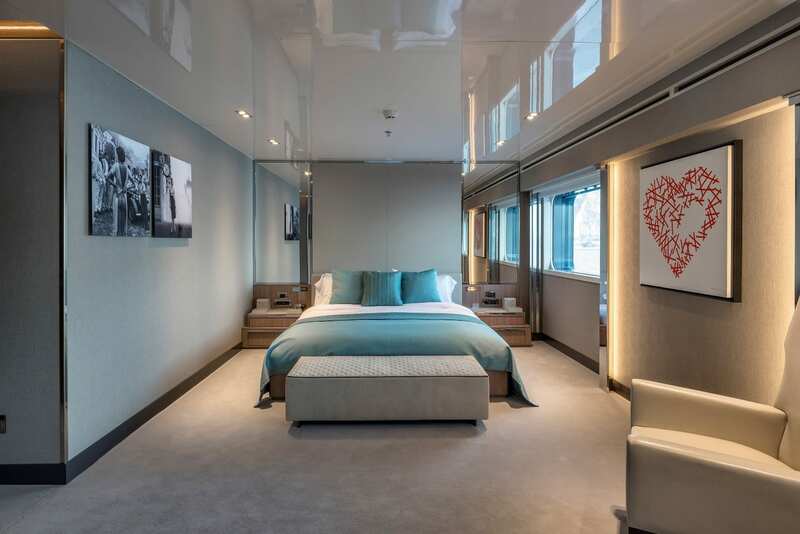 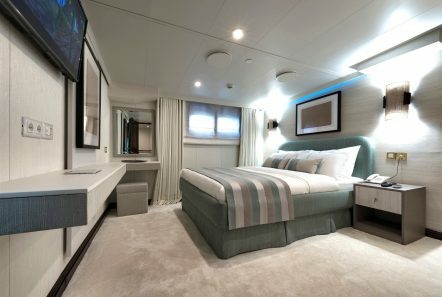 Exterior relaxation spaces include a dedicated yoga area and an aft-deck superyacht spa pool on the bridge deck. 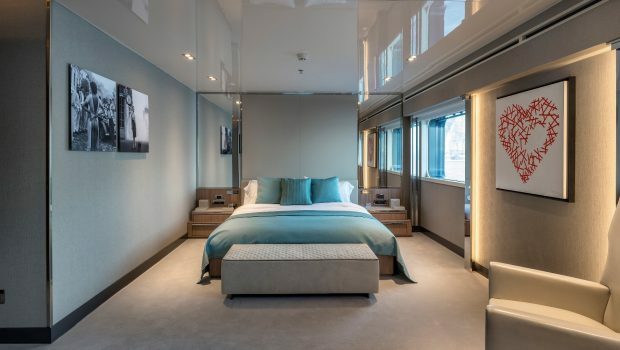 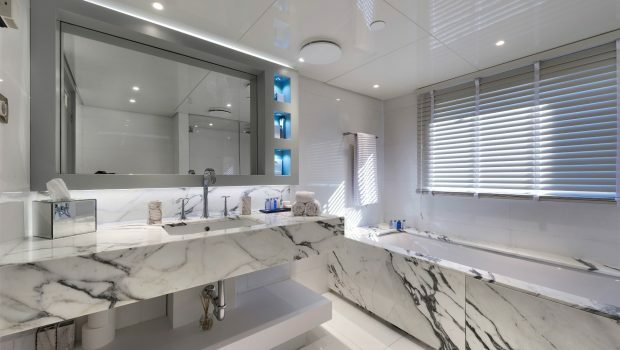 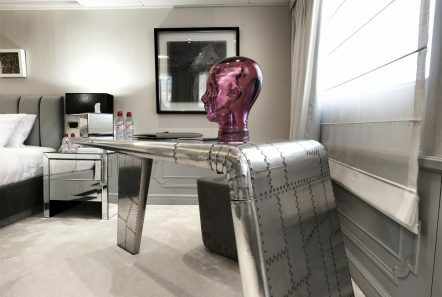 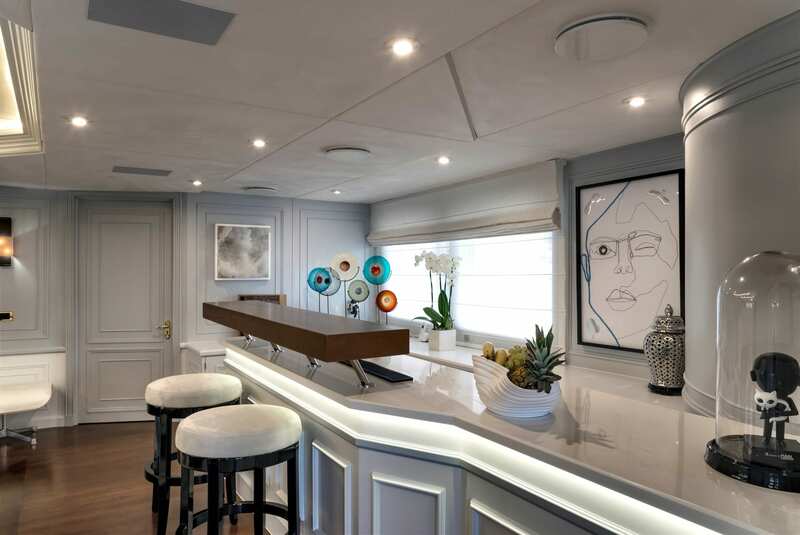 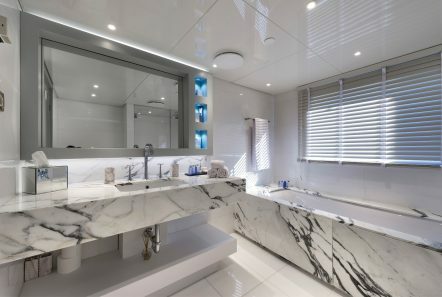 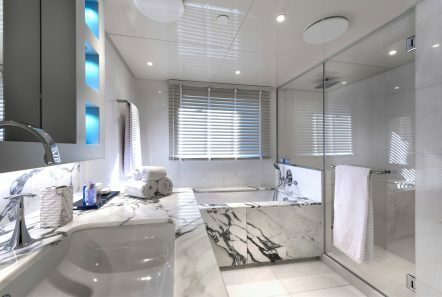 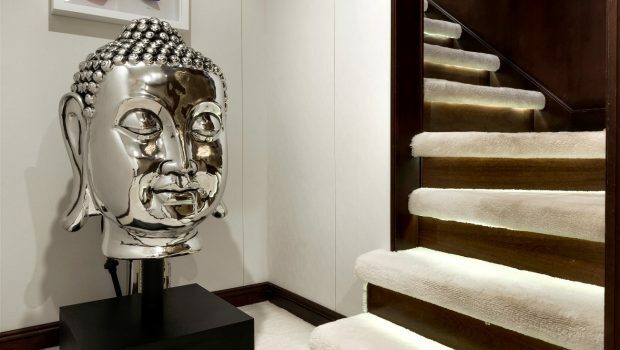 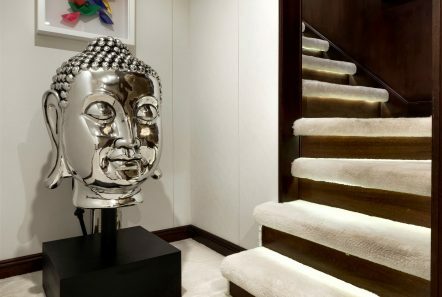 Moving inside, Chakra boasts a massage room, beauty parlour, and superyacht gym, as well as a fully-stocked tender garage. 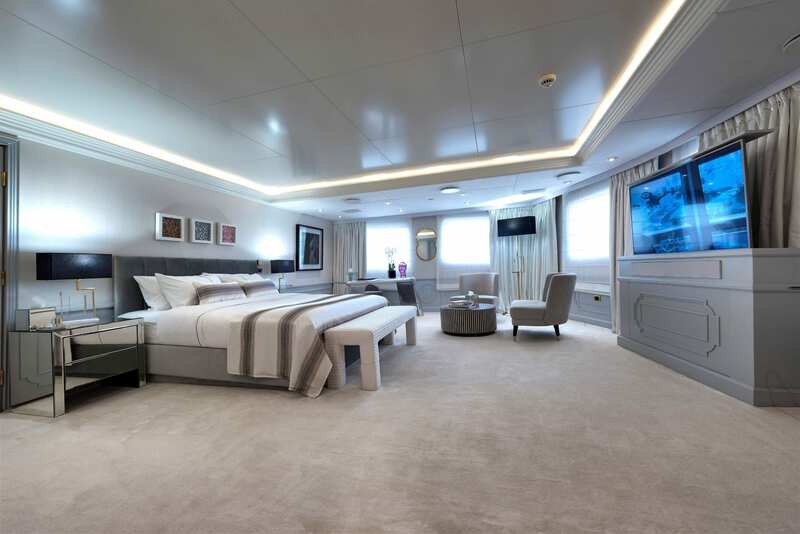 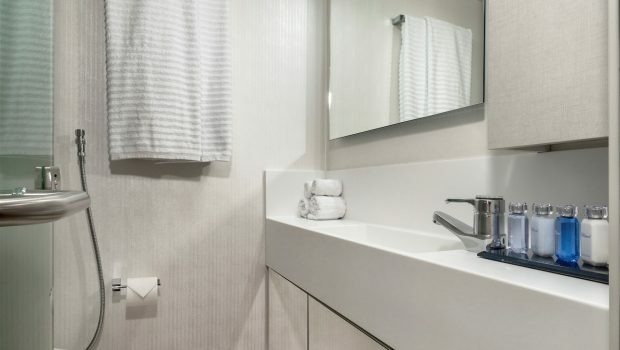 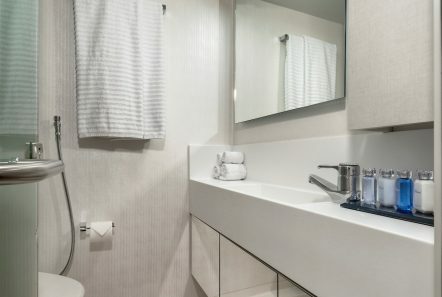 She accommodates 12 guests as follows: 1 Master Suite (King Size Bed), 1 Presidential Suite (King Size Bed), 7 VIP Suites (King Size Bed), 11 Double Suites (Bed Size 2m x 1.30m), 4 Twins, 2 singles.